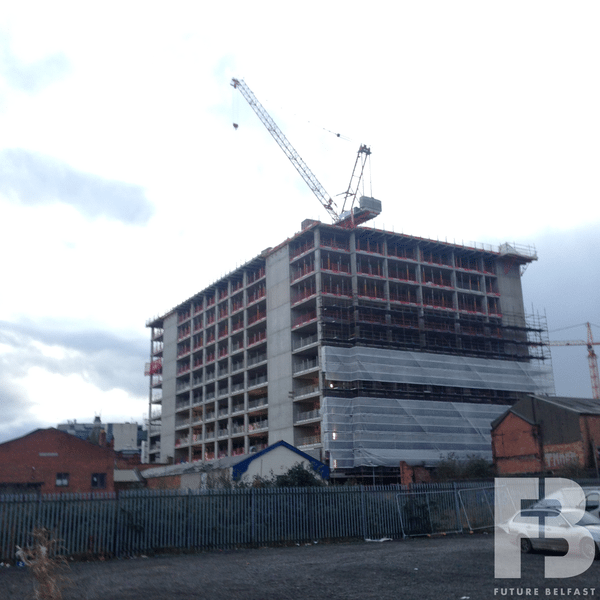 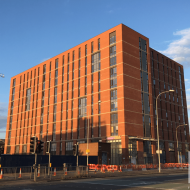 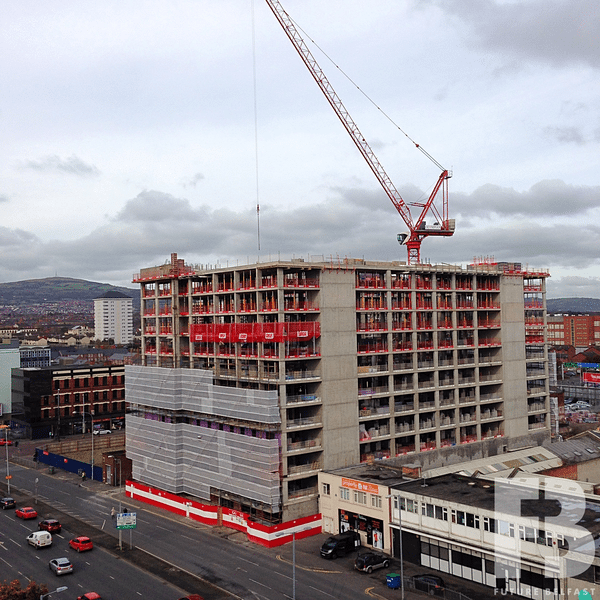 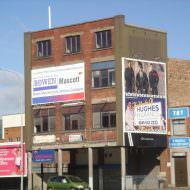 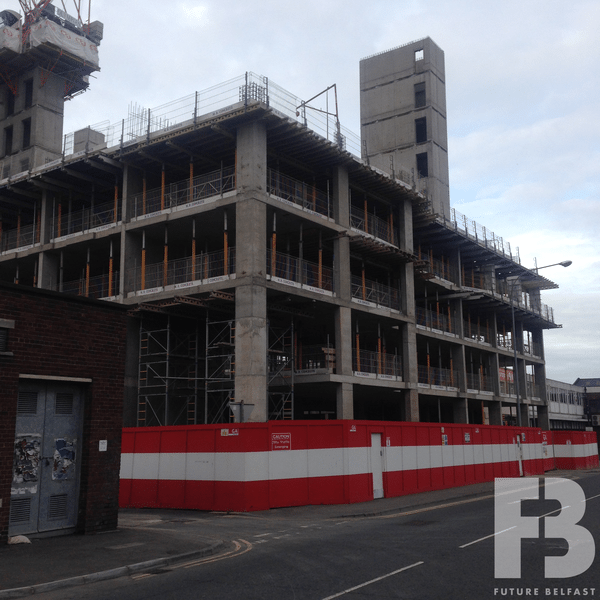 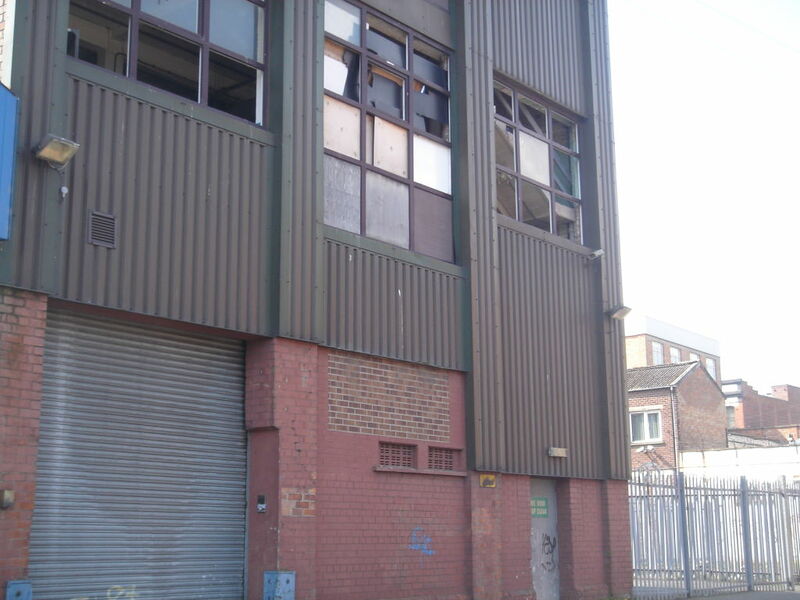 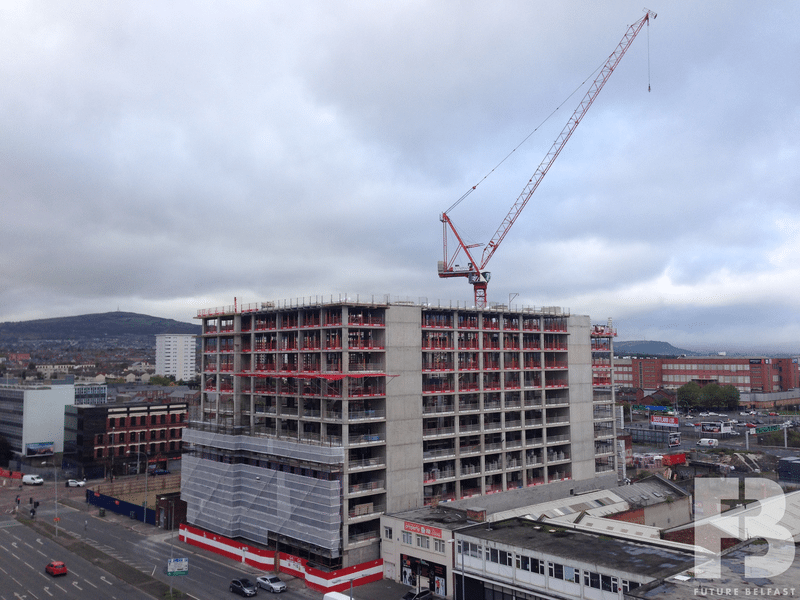 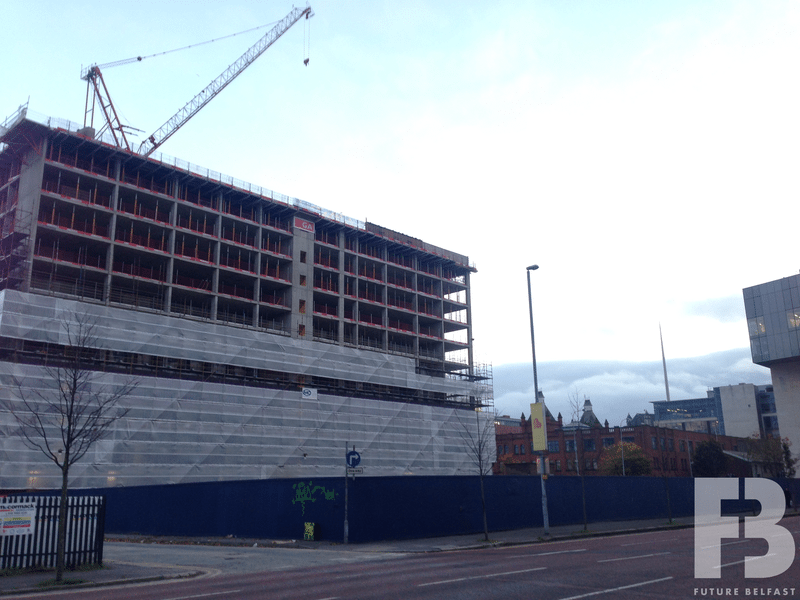 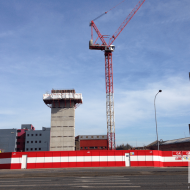 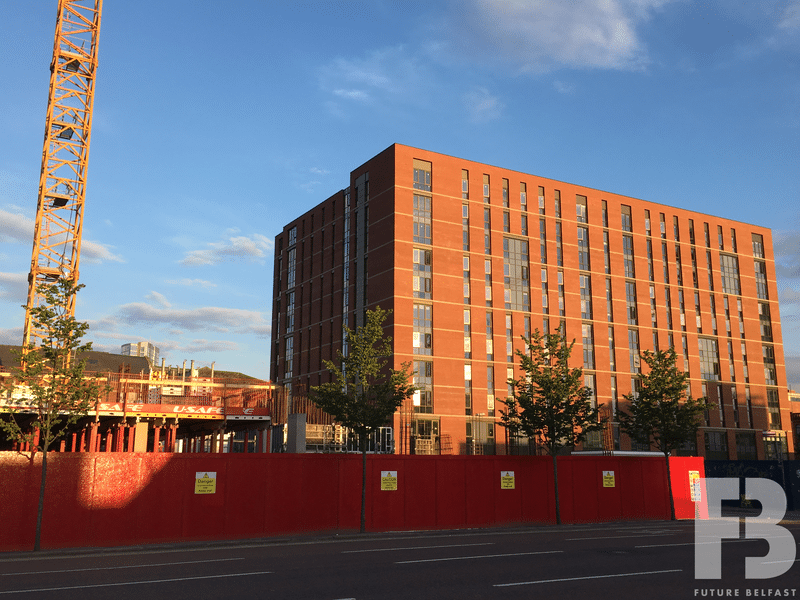 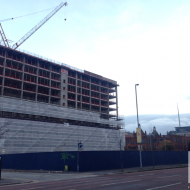 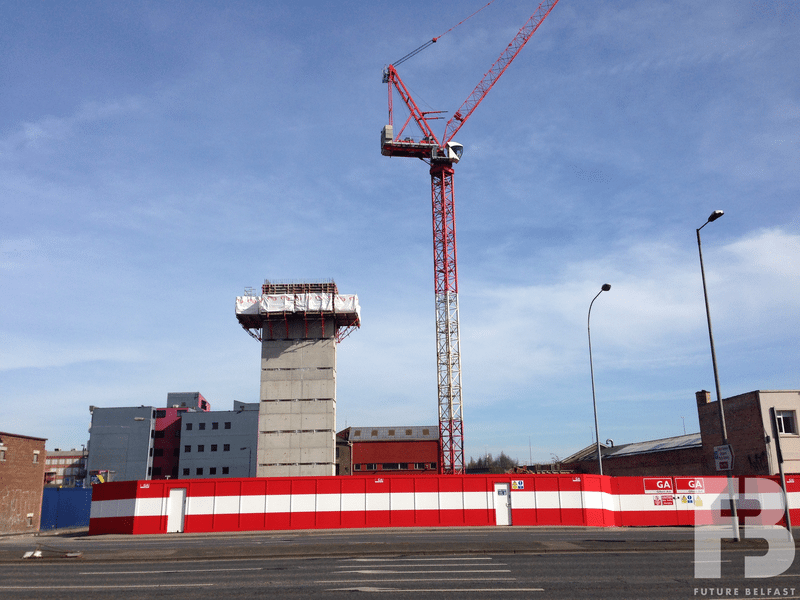 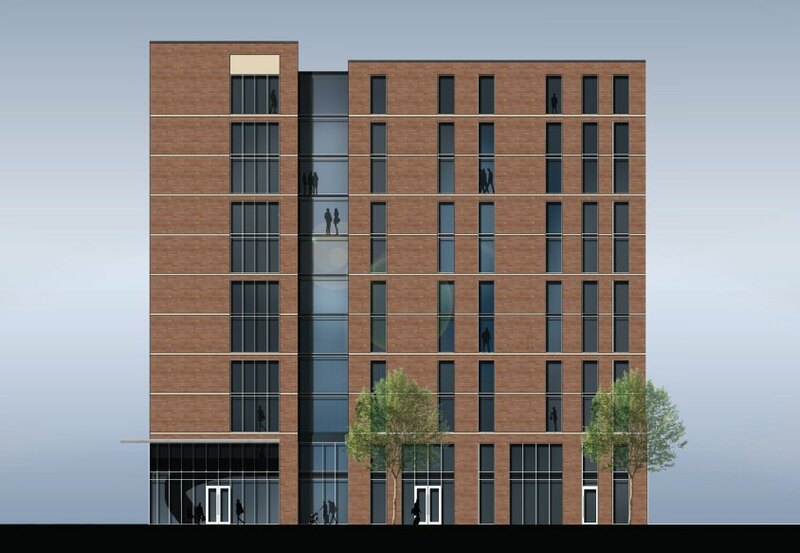 An 11-storey managed student accommodation building comprising 475 bedroom over a ground floor retail unit. 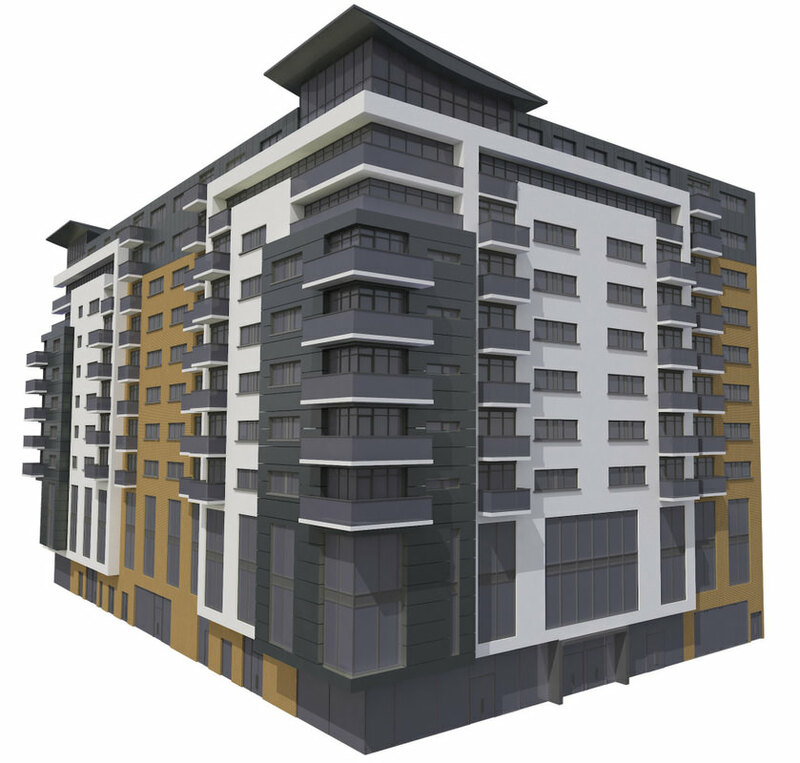 Olympian Homes appointed Gilbert-Ash to commence construction in November 2016 and the project is due to complete by September 2018. 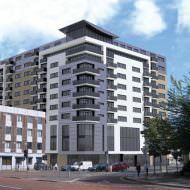 A planning application (Z/2007/0052/F) submitted in December 2006 proposed a 12-storey building comprising 180 apartments, 2 retail units and car-parking. 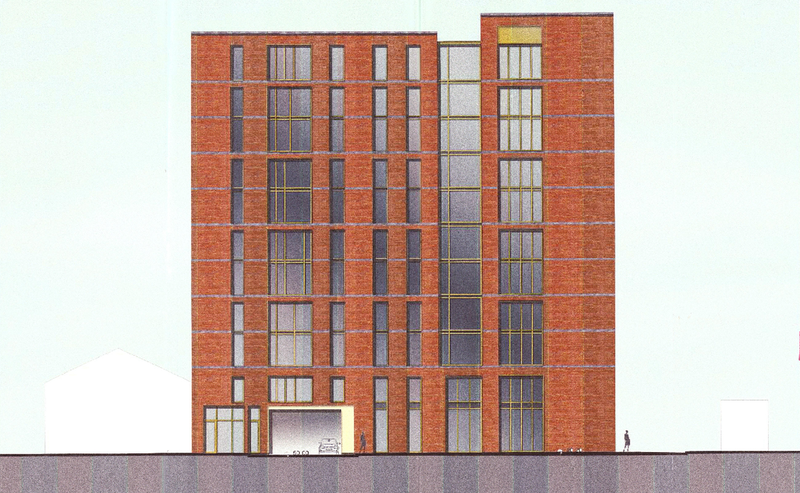 The application was withdrawn before a decision was issued. 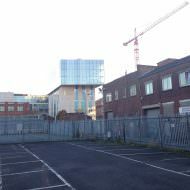 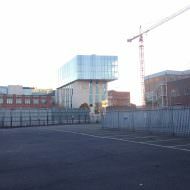 A revised planning application (Z/2008/2321/F) was then submitted in November 2008 by Great Patrick Street LLP and Gregory Architects. 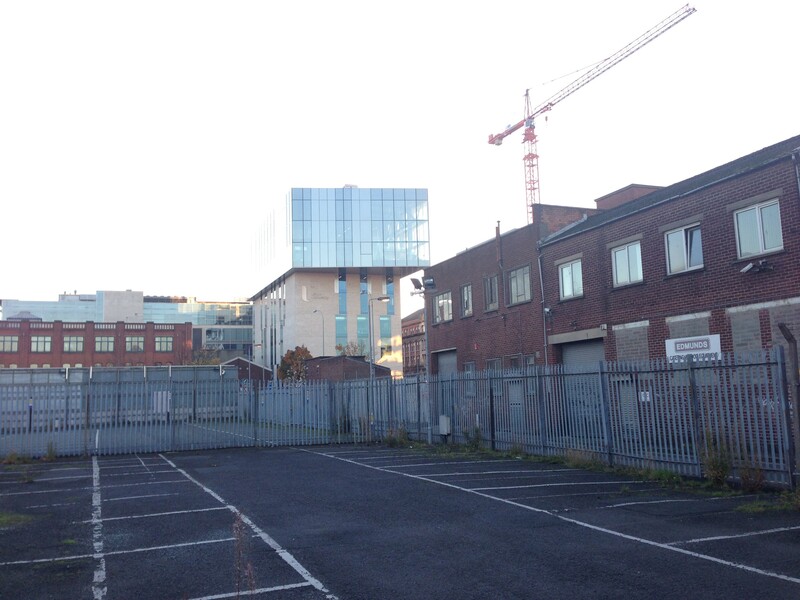 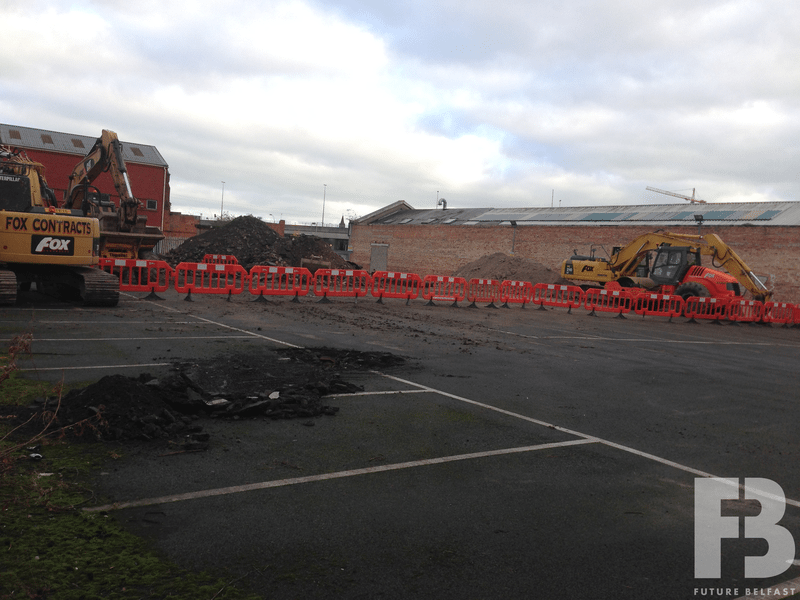 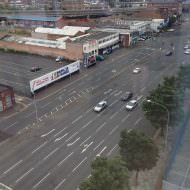 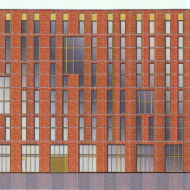 The revised application proposed 161 apartments, 12 office units and 2 retail units with associated car parking. 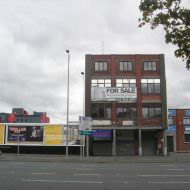 This application was approved in March 2010. 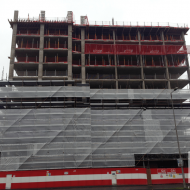 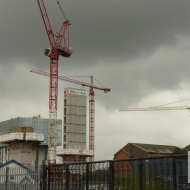 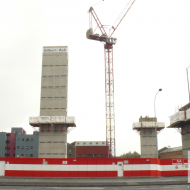 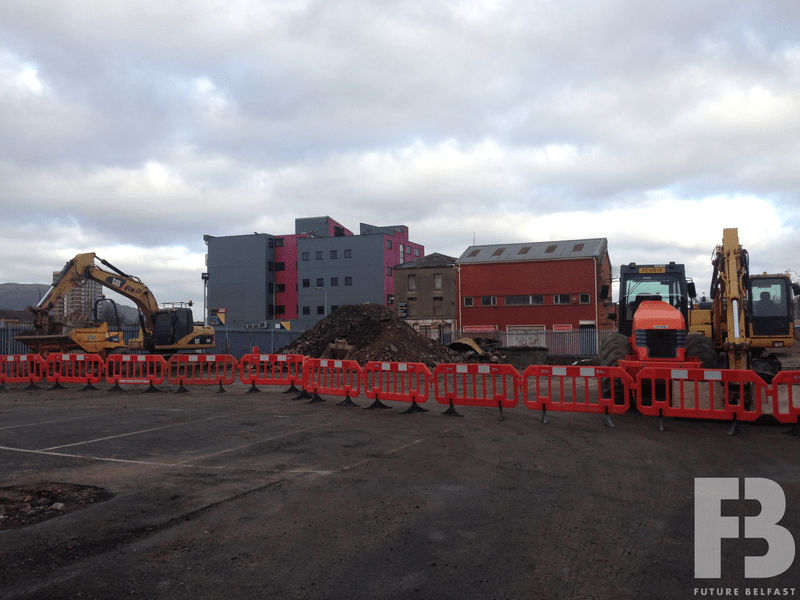 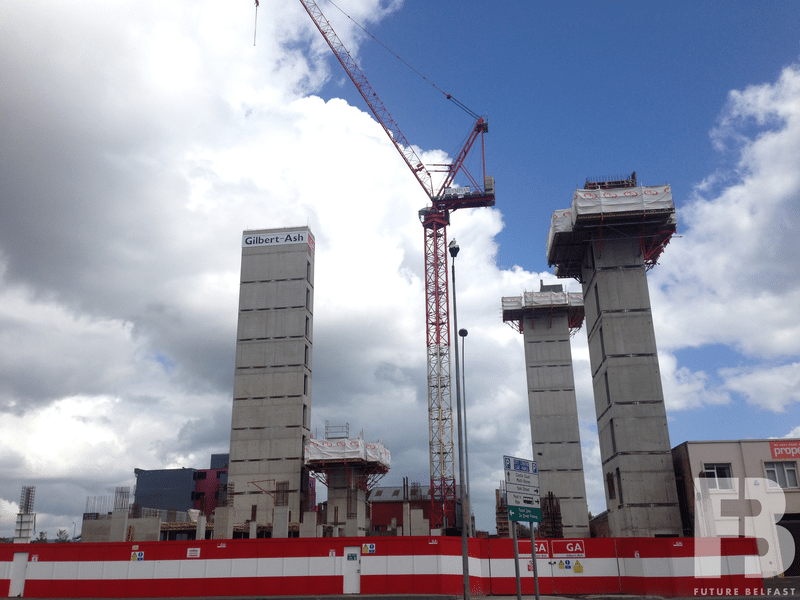 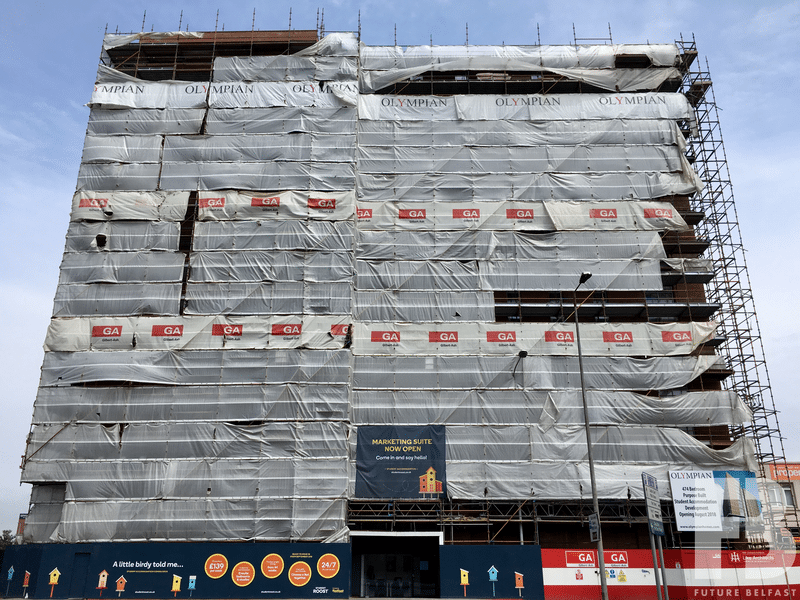 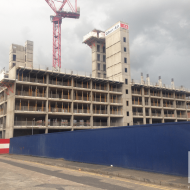 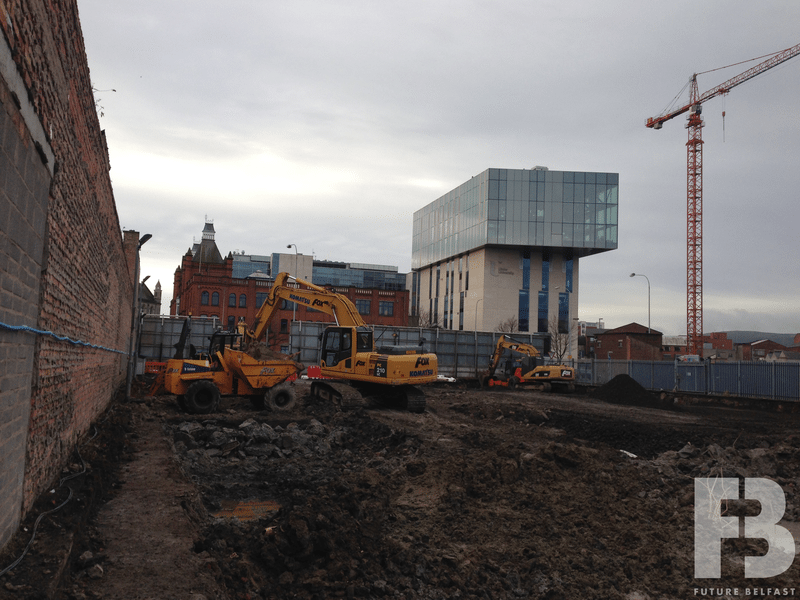 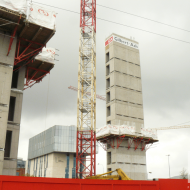 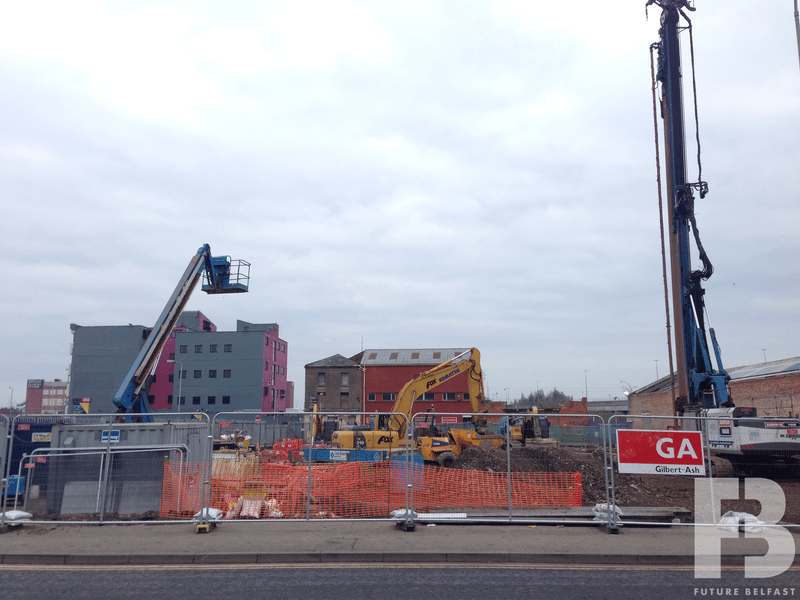 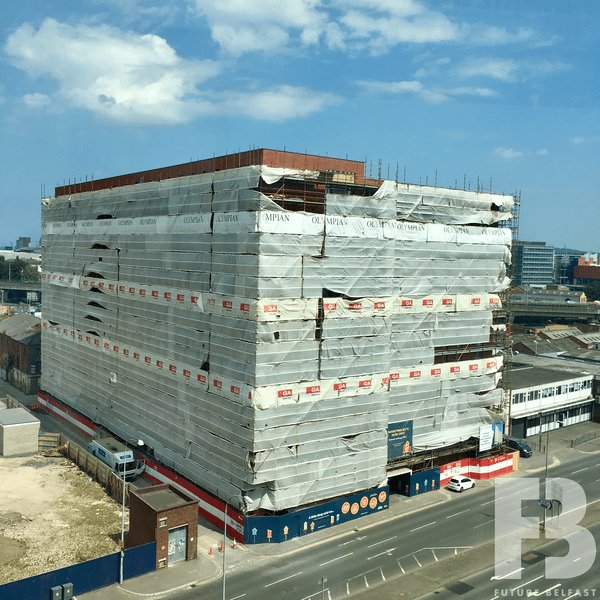 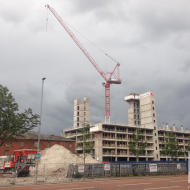 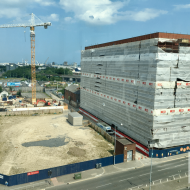 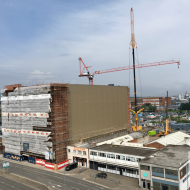 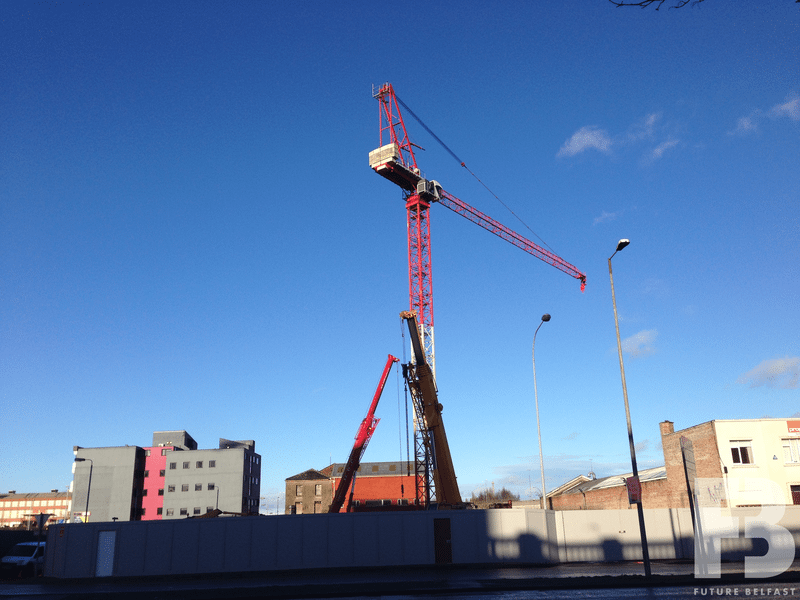 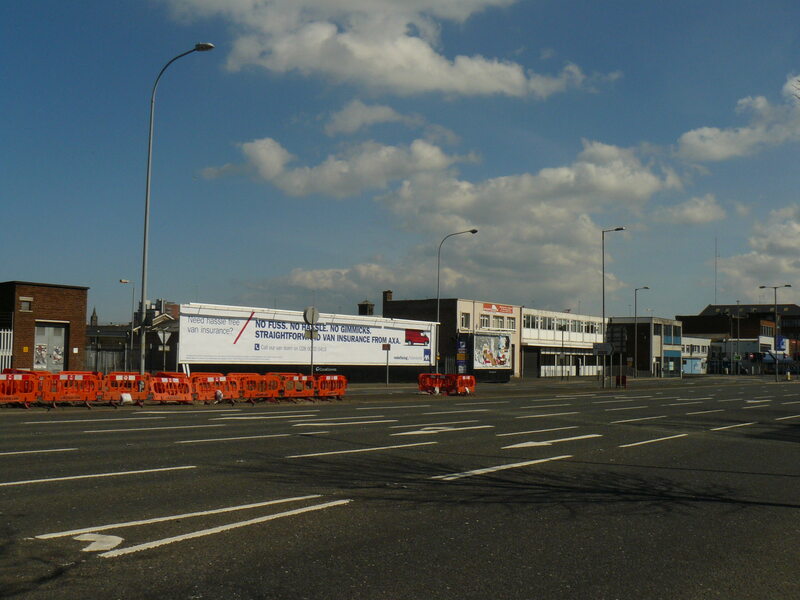 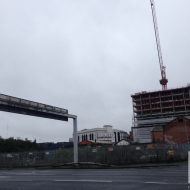 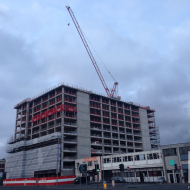 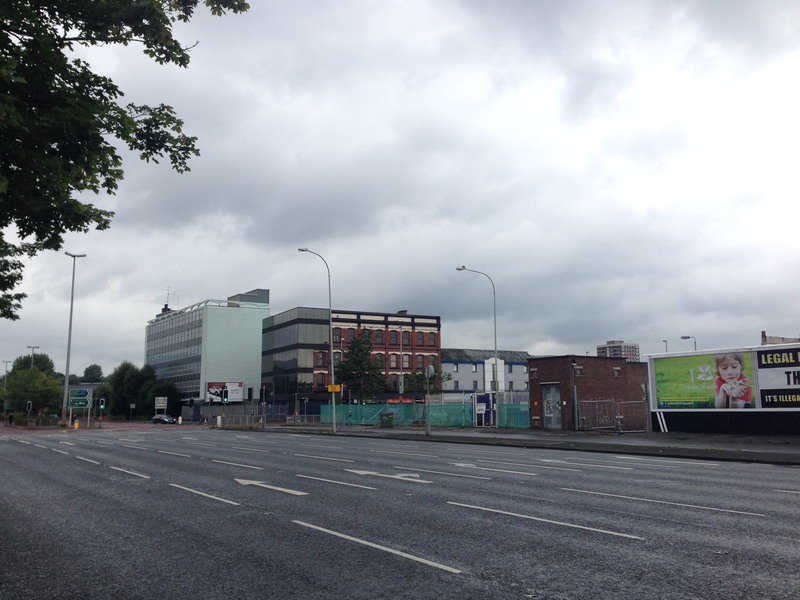 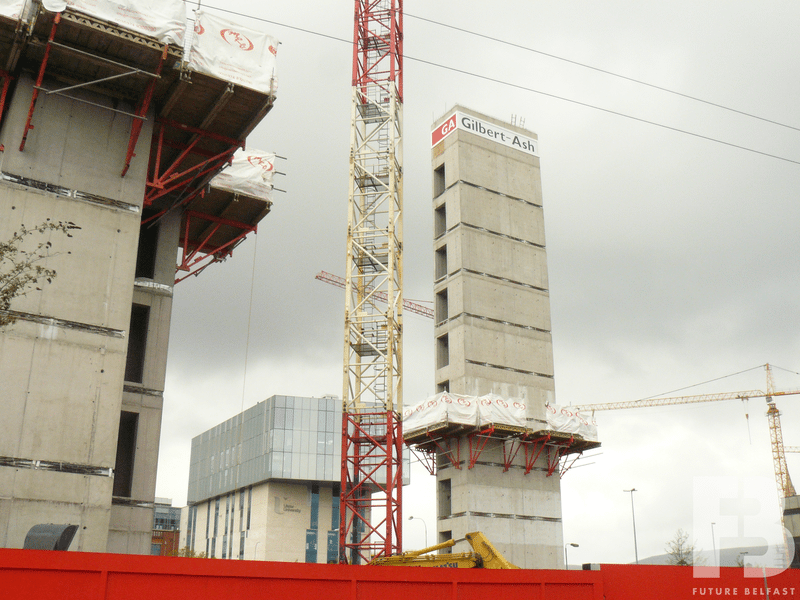 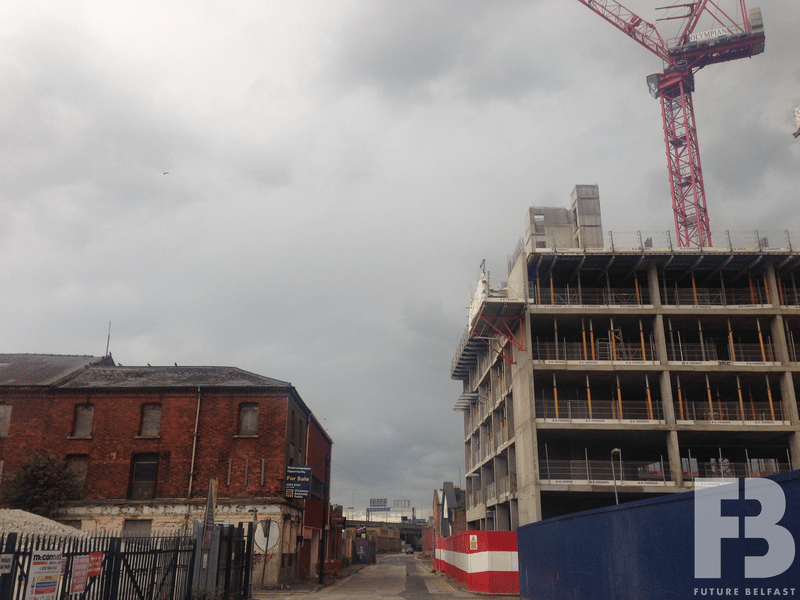 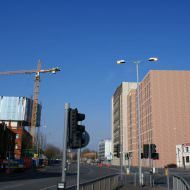 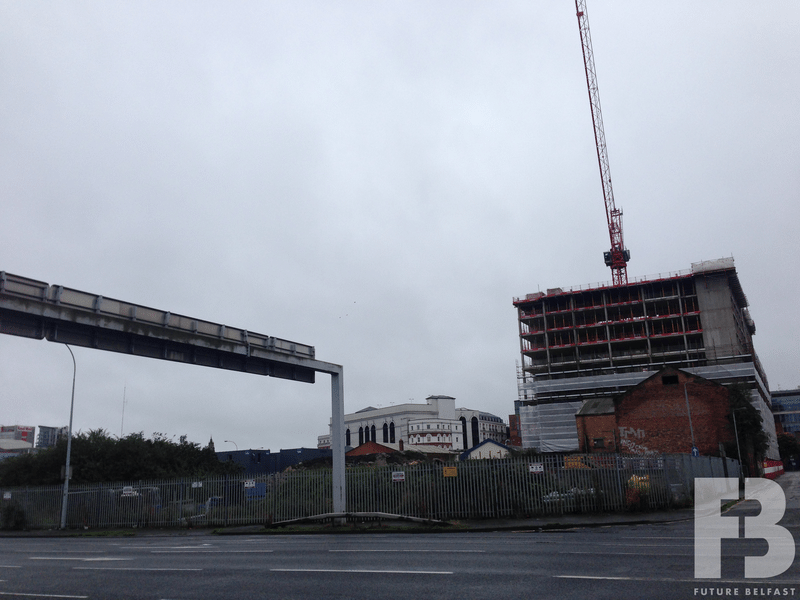 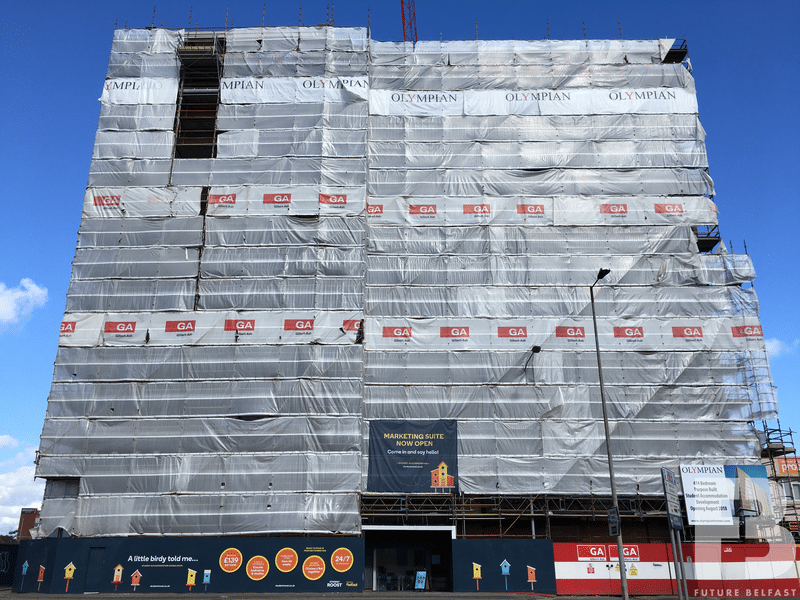 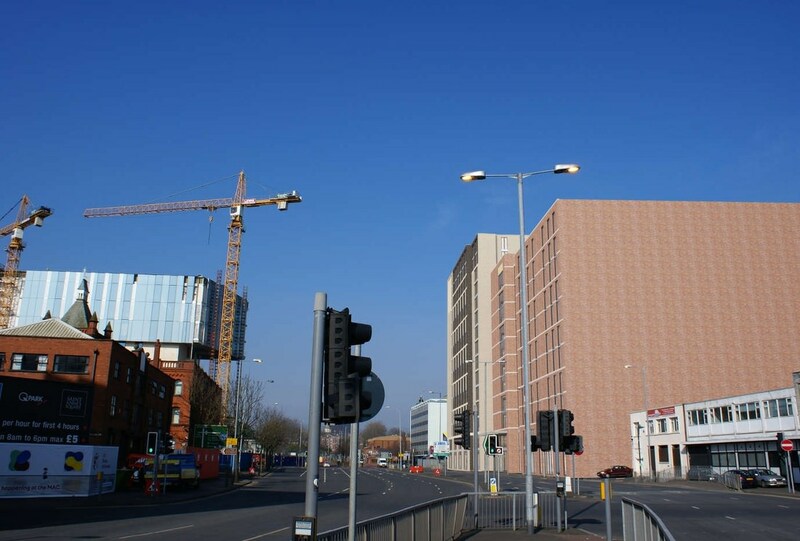 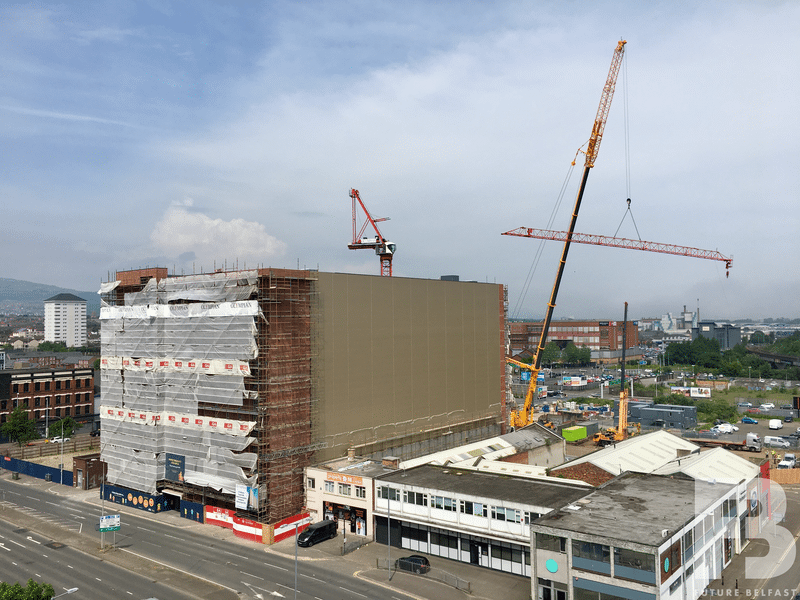 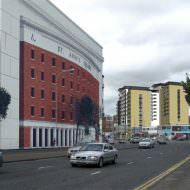 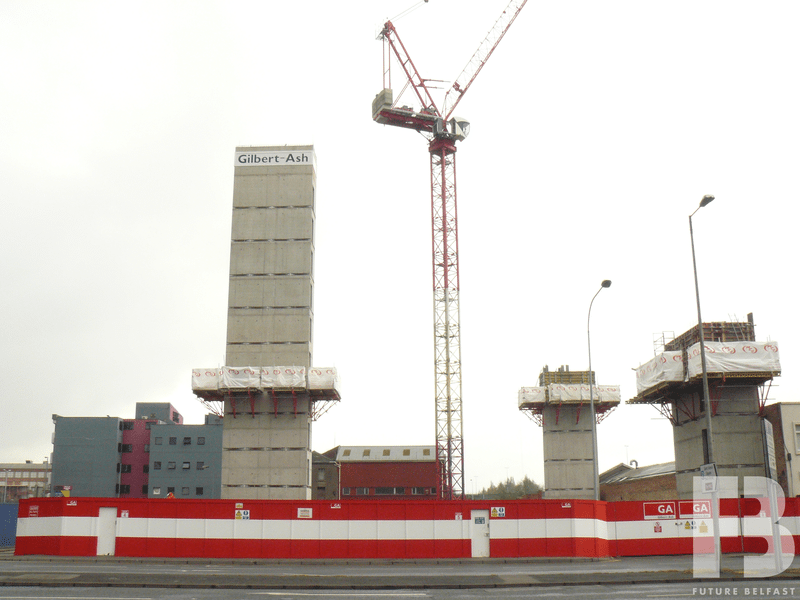 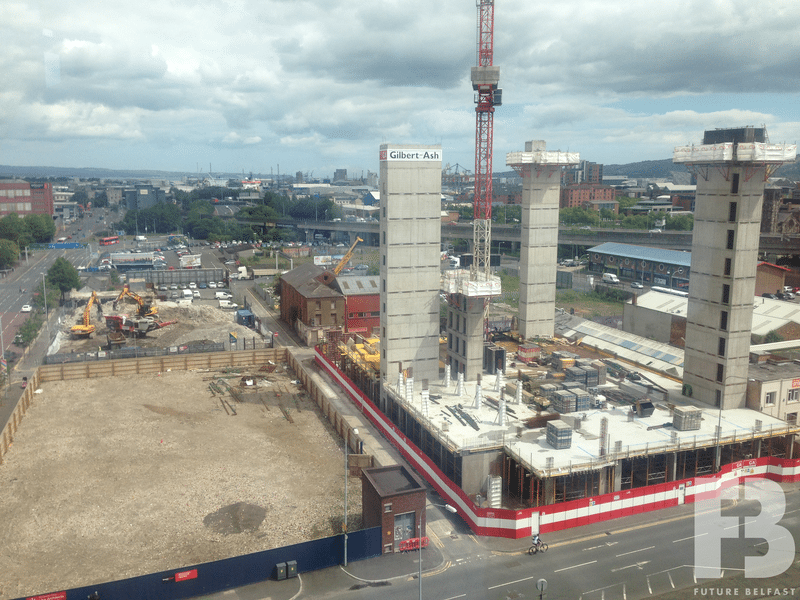 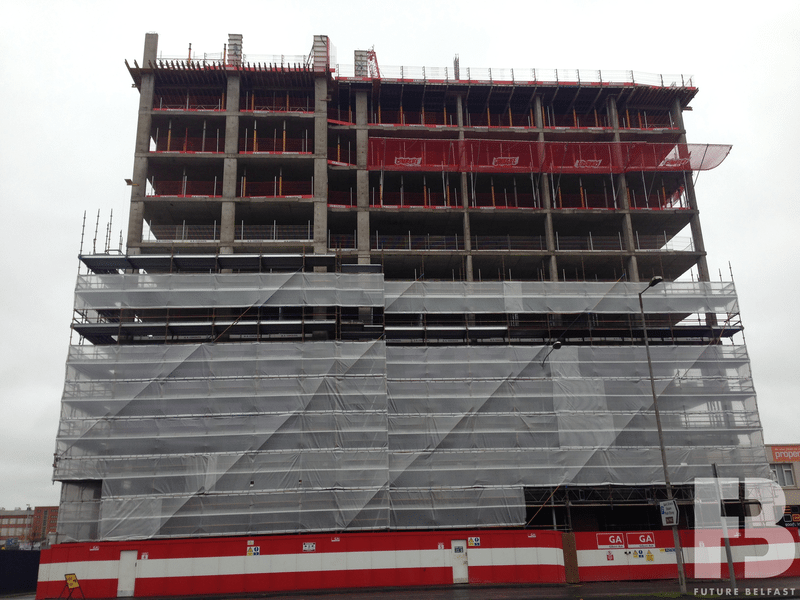 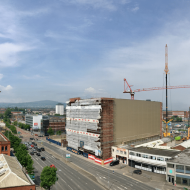 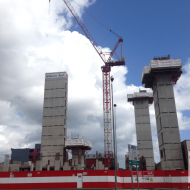 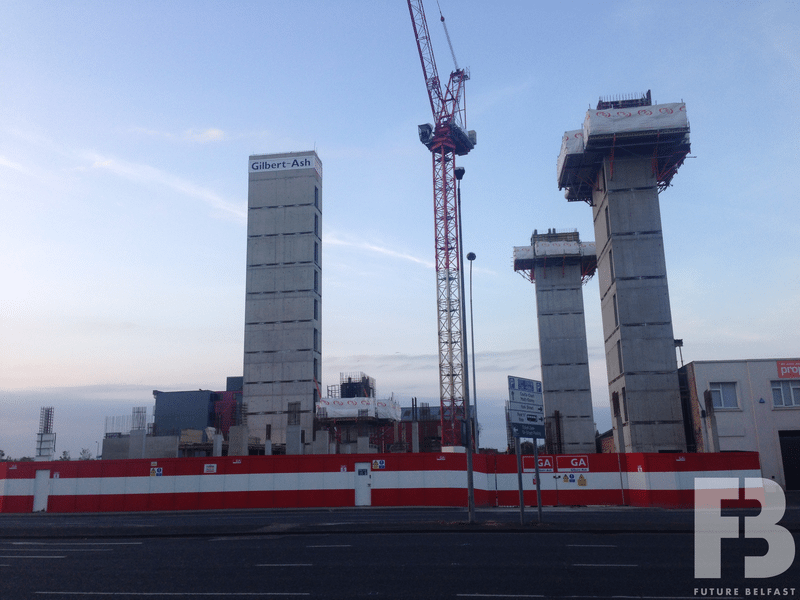 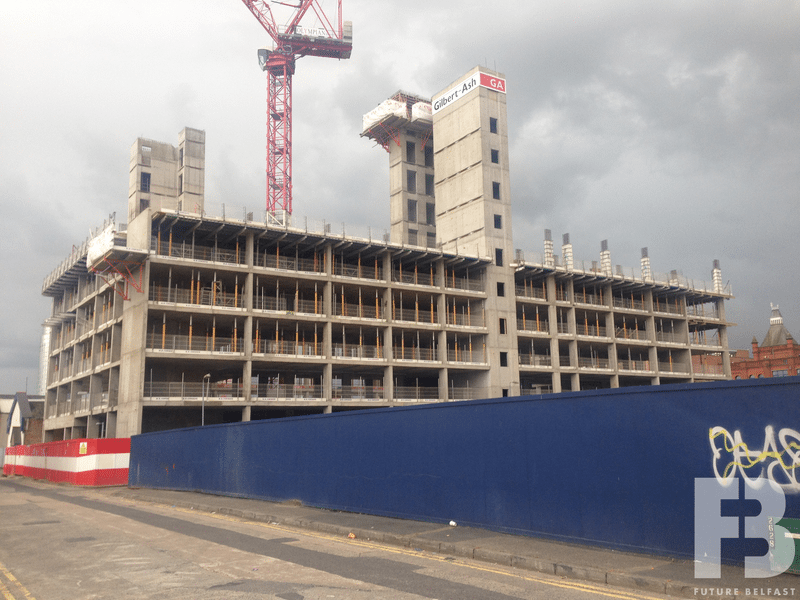 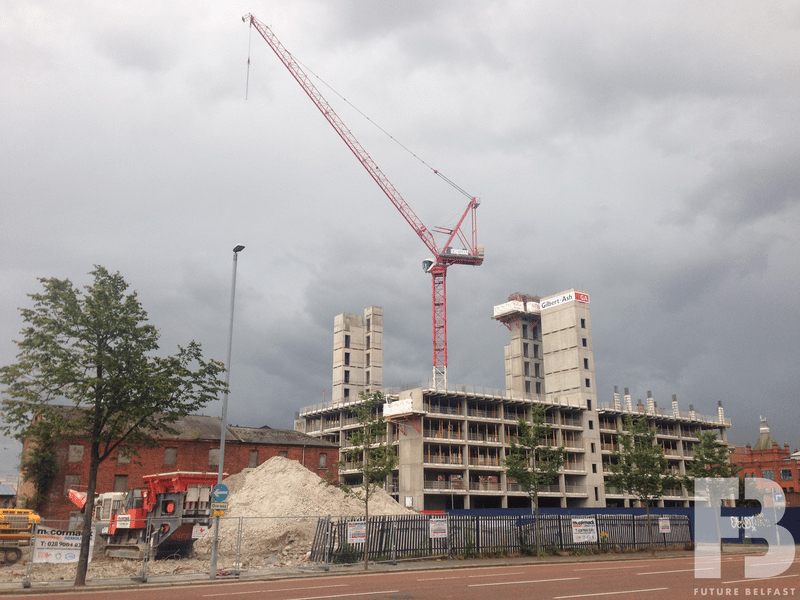 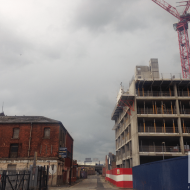 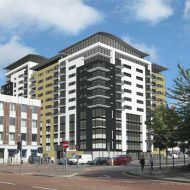 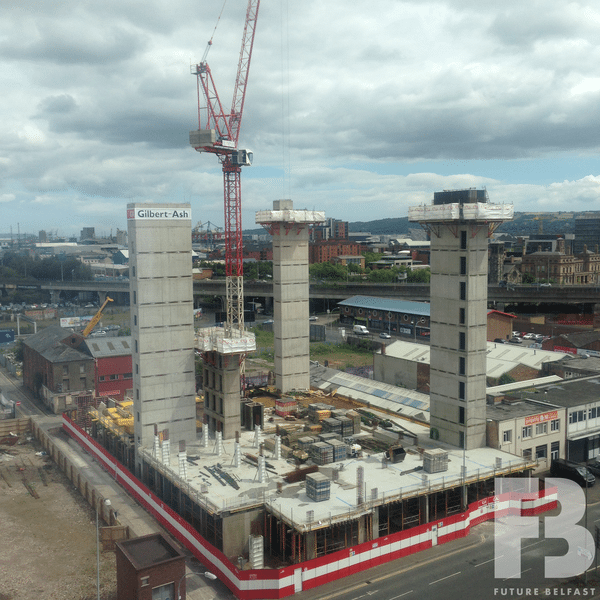 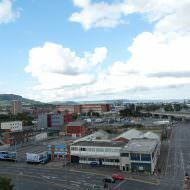 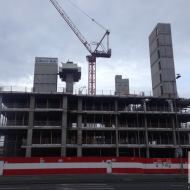 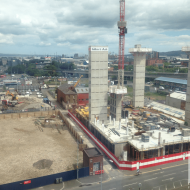 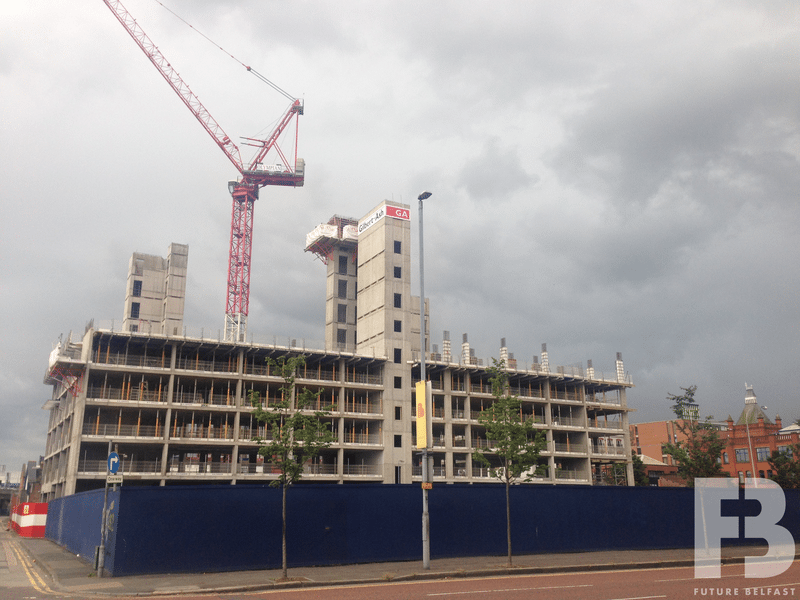 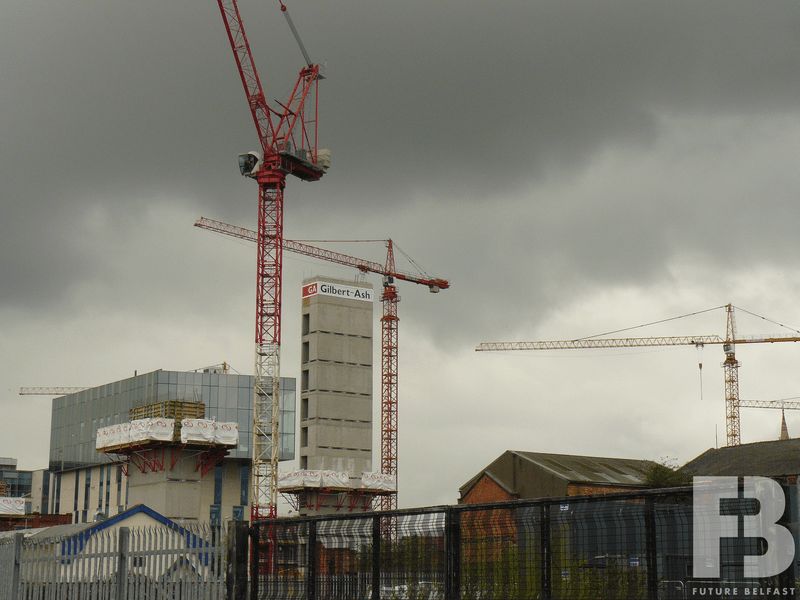 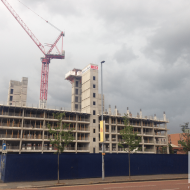 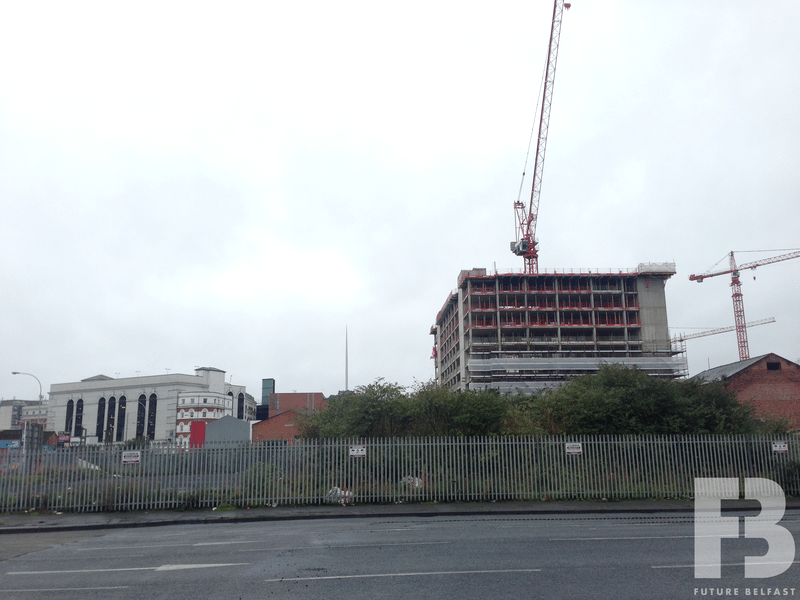 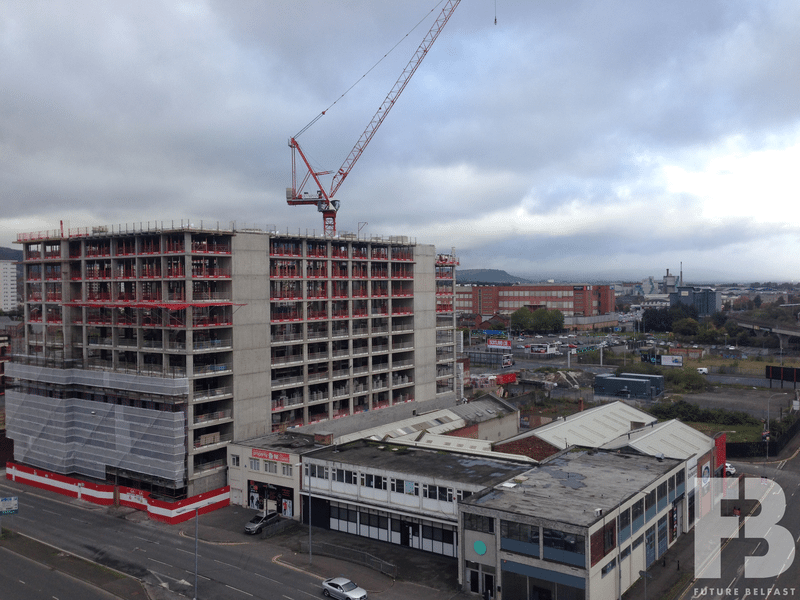 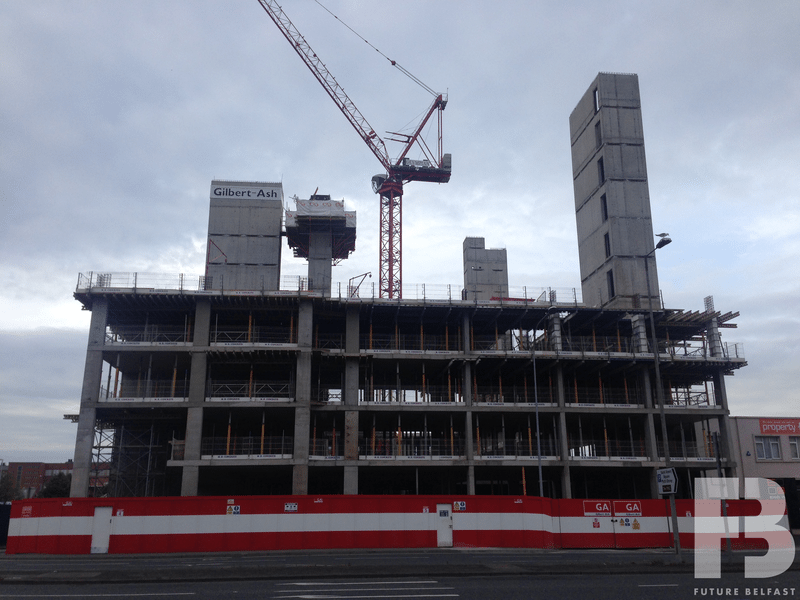 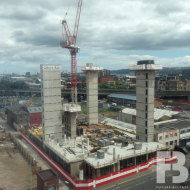 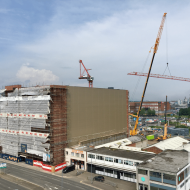 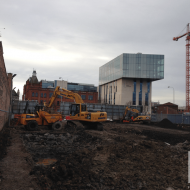 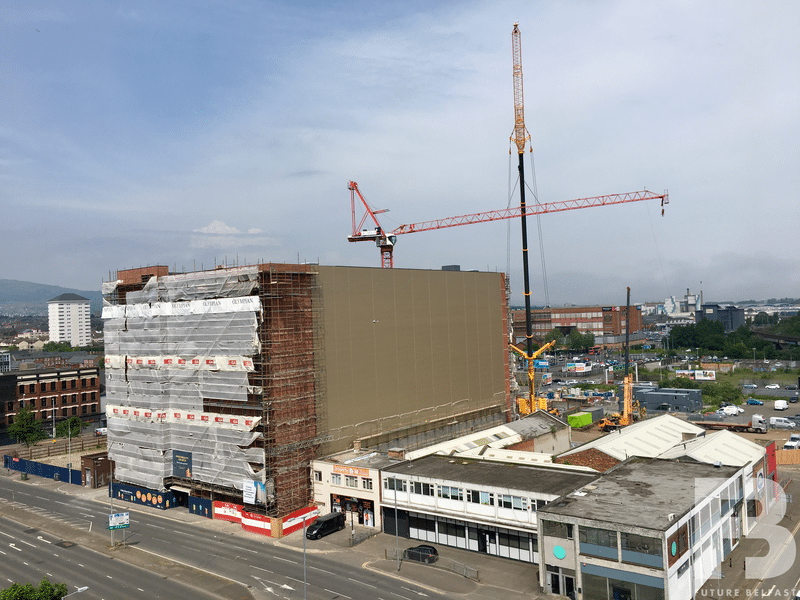 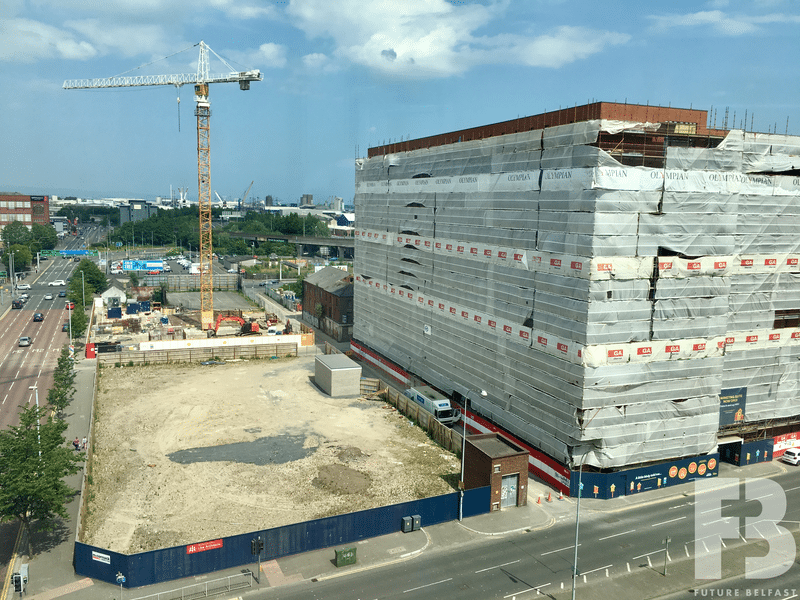 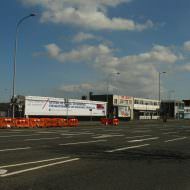 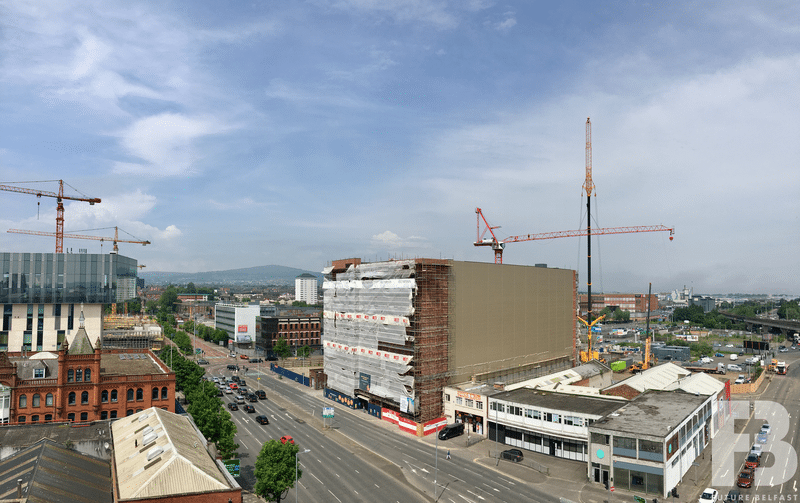 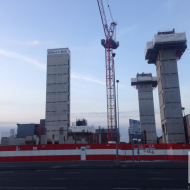 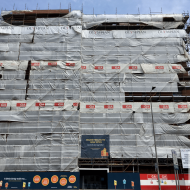 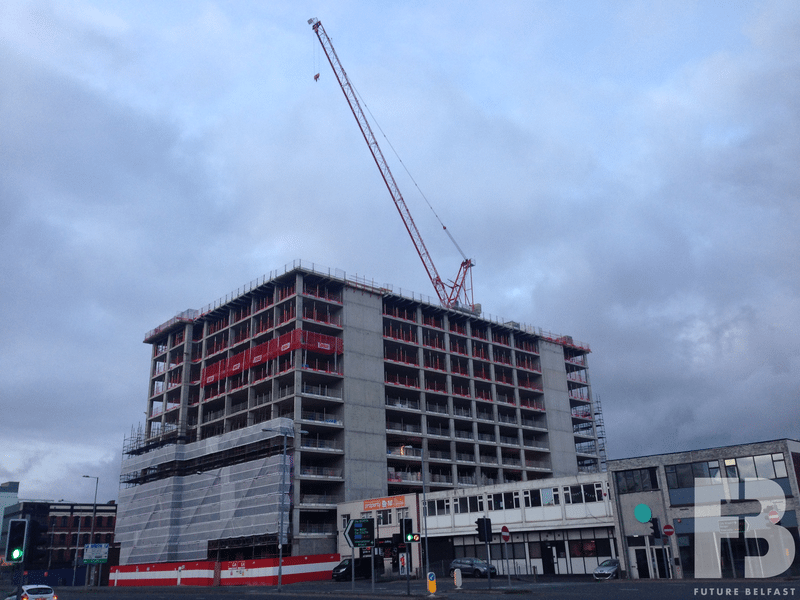 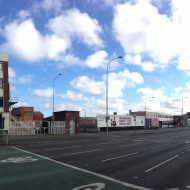 The £18m development, marketed as ‘Sugar Walk’, was due to be constructed by Bowen Mascott JV, although it did not progress and the site was subsequently sold. 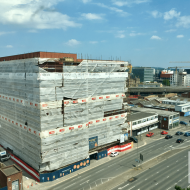 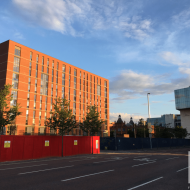 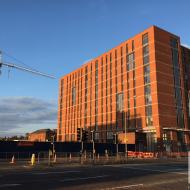 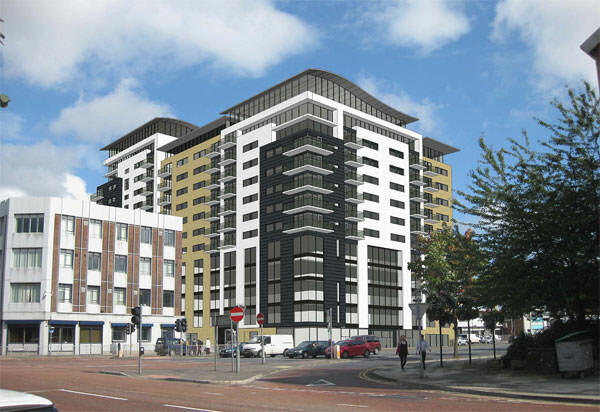 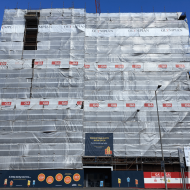 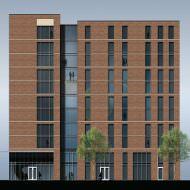 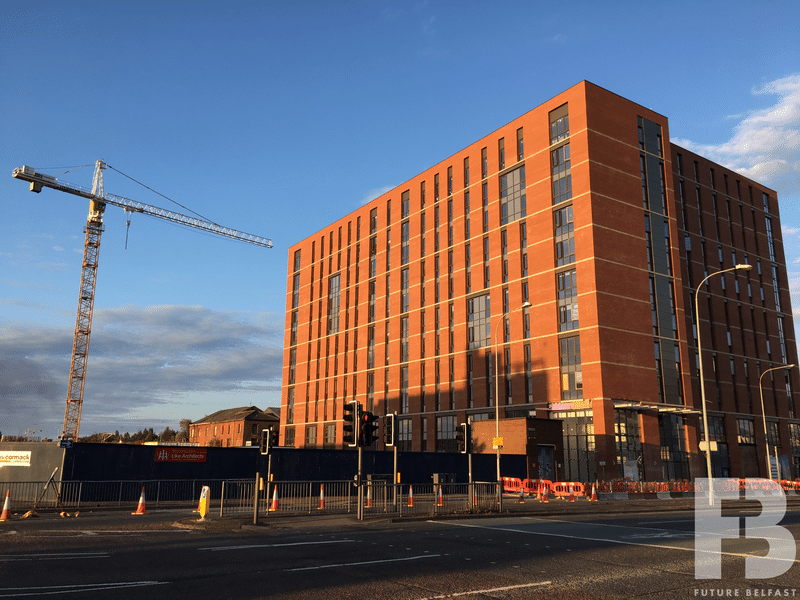 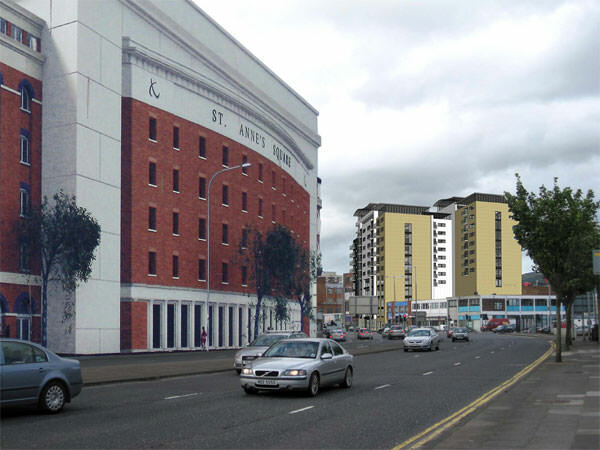 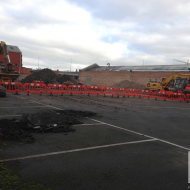 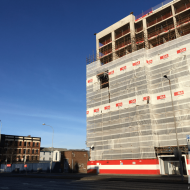 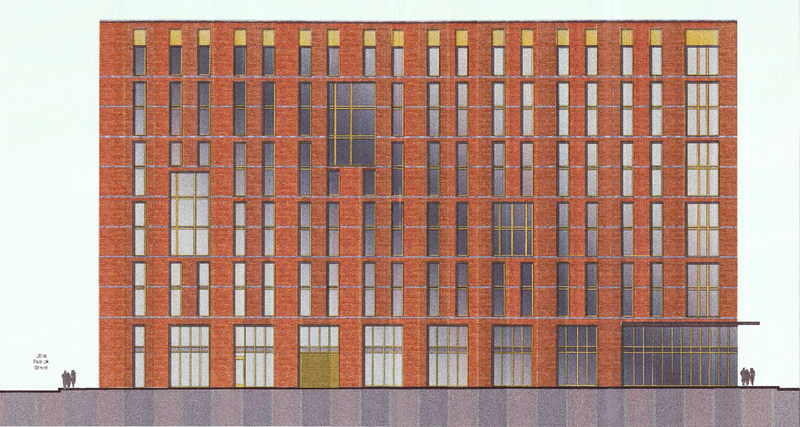 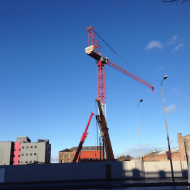 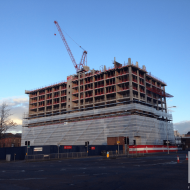 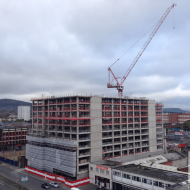 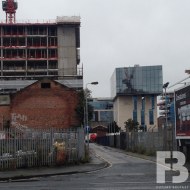 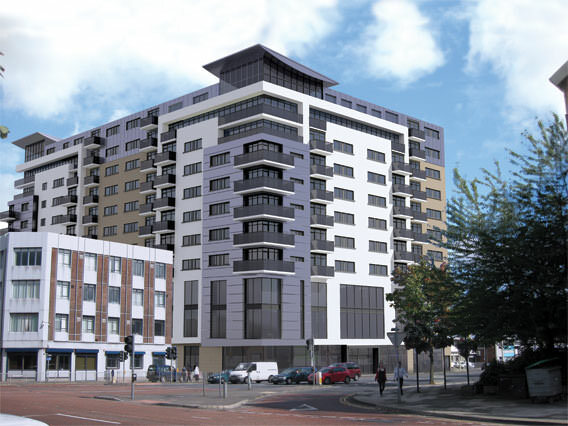 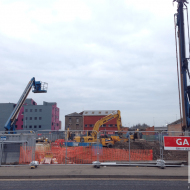 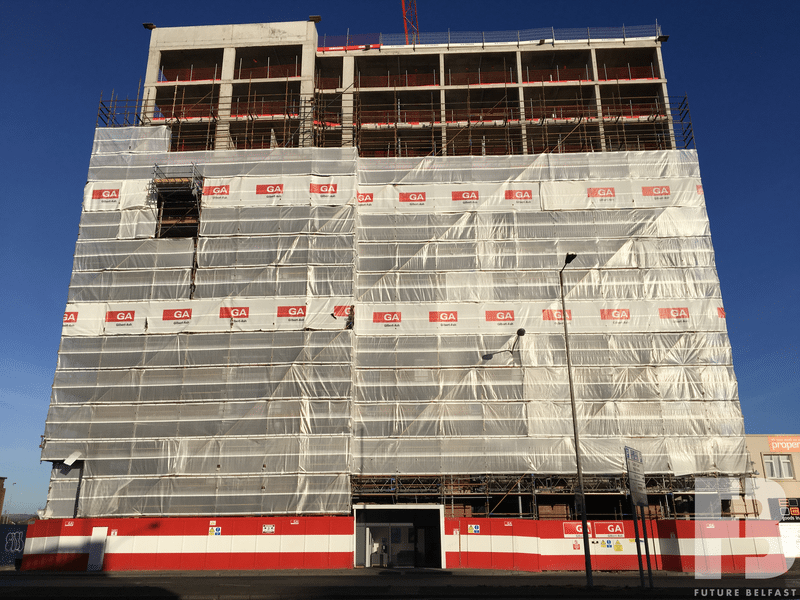 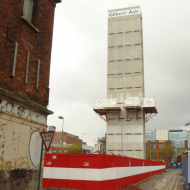 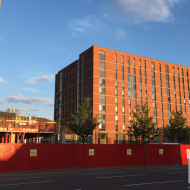 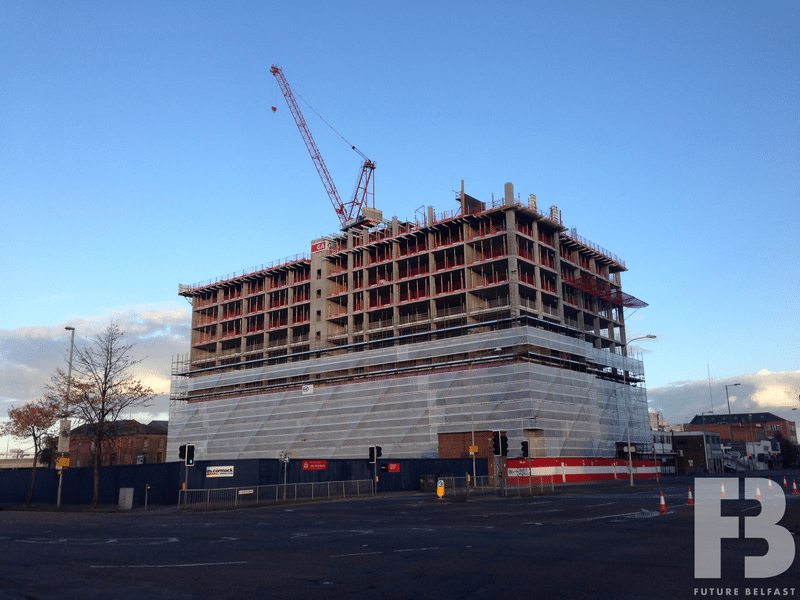 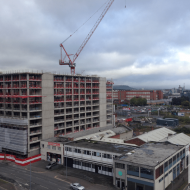 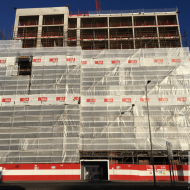 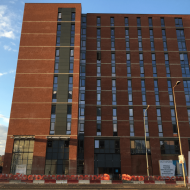 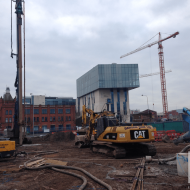 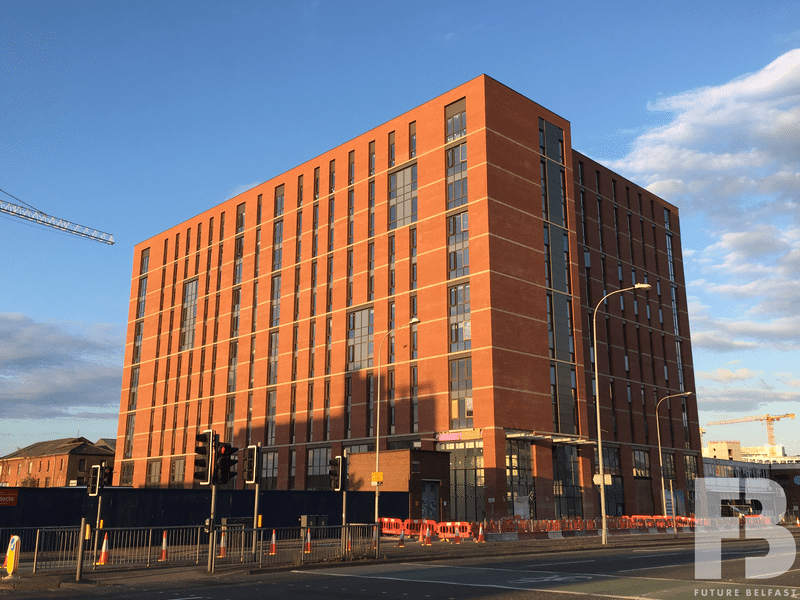 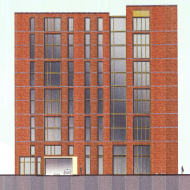 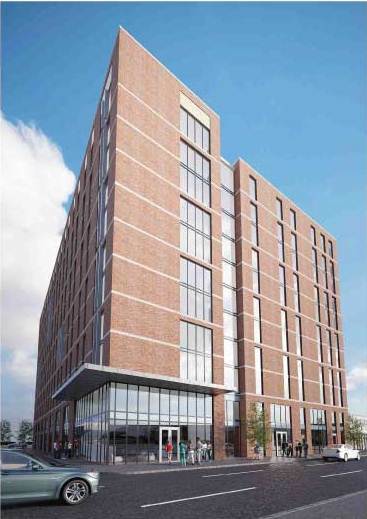 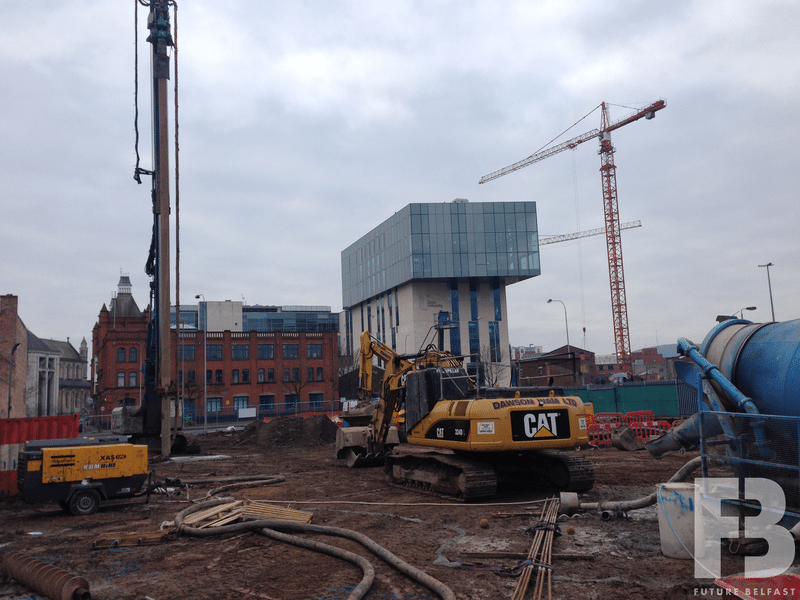 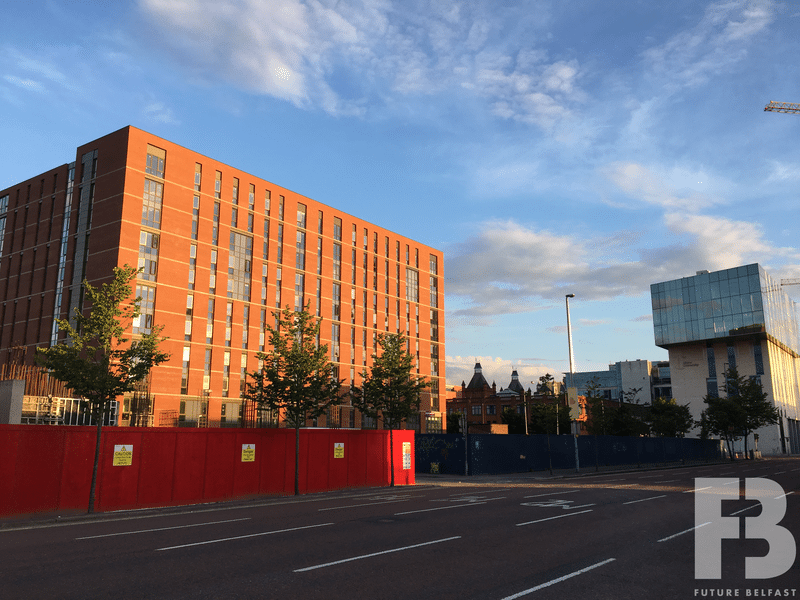 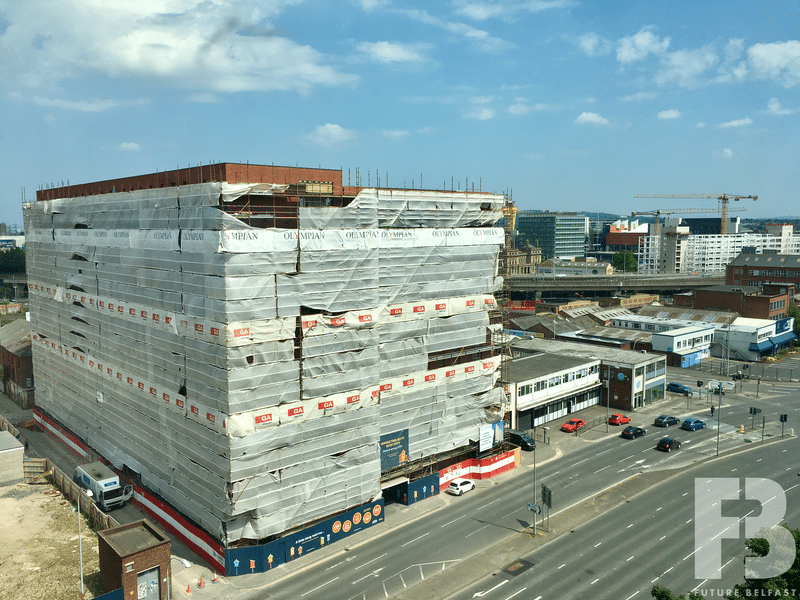 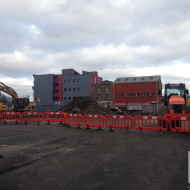 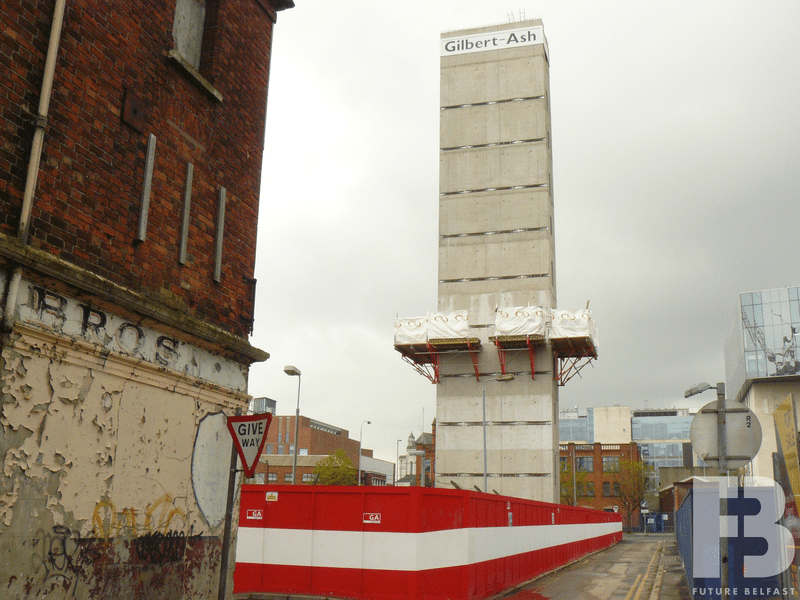 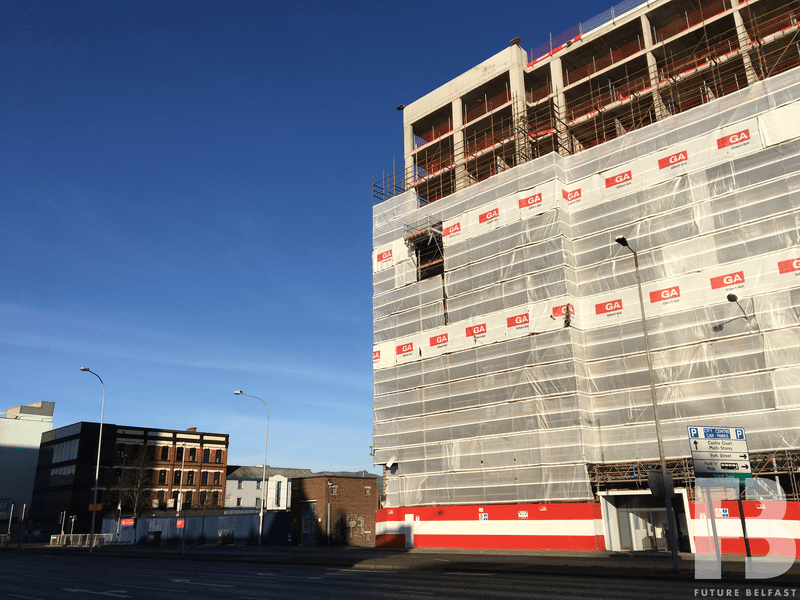 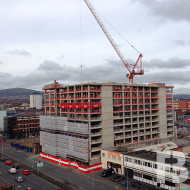 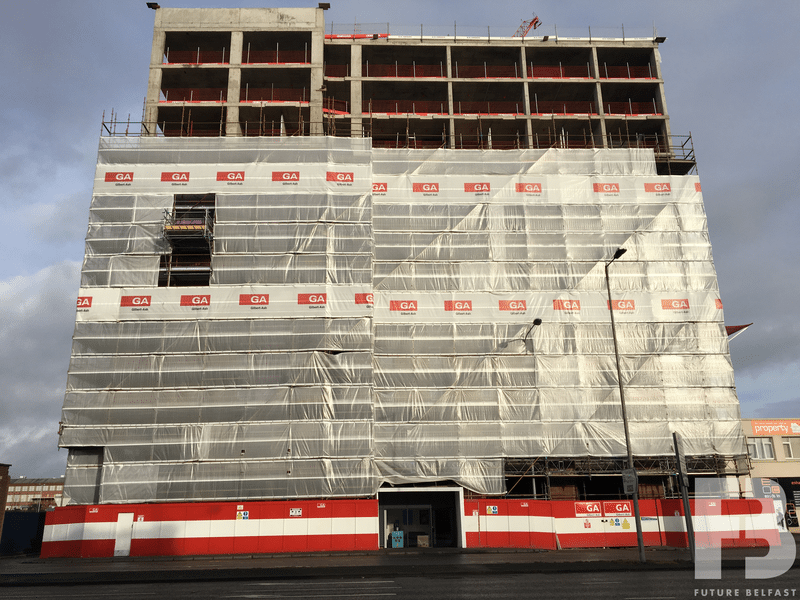 A planning application submitted by Patton Developments LLP in December 2014 initially proposed an 11 storey building comprising a ground floor retail unit and 529 managed student rooms above. 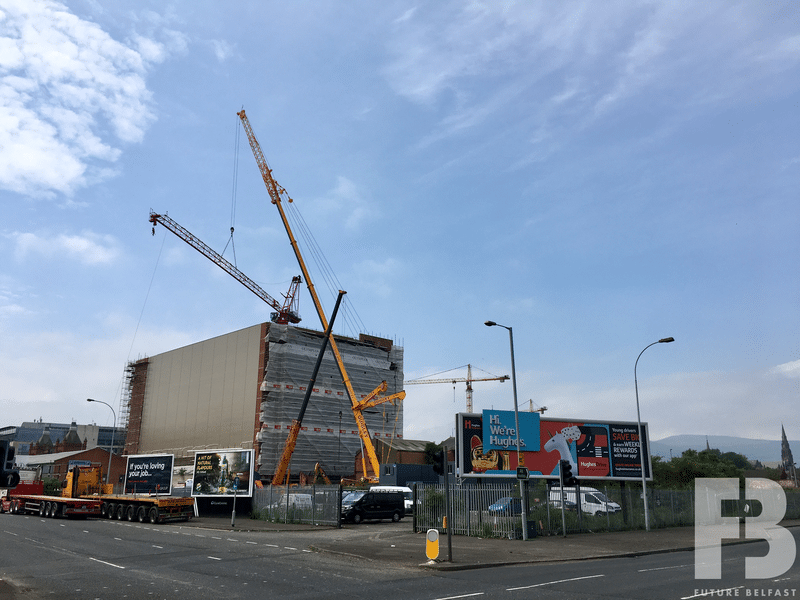 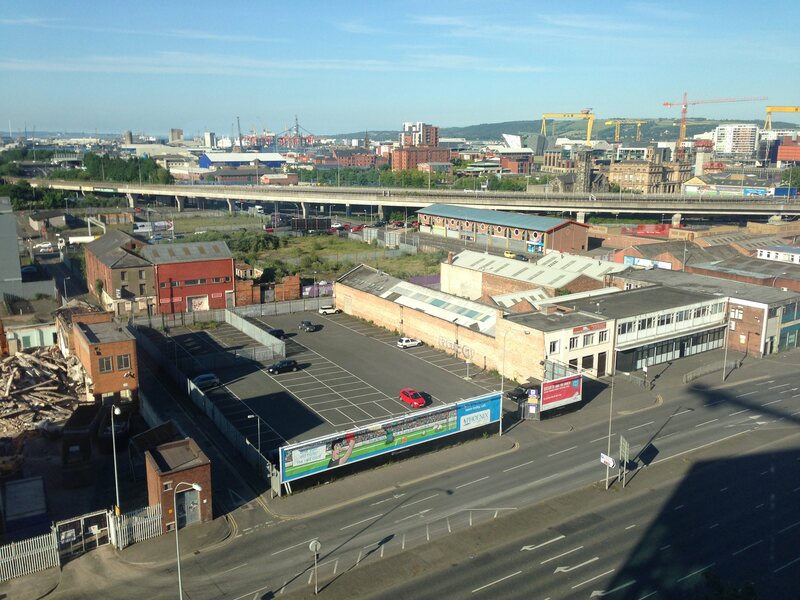 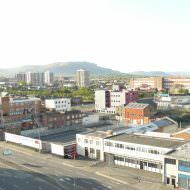 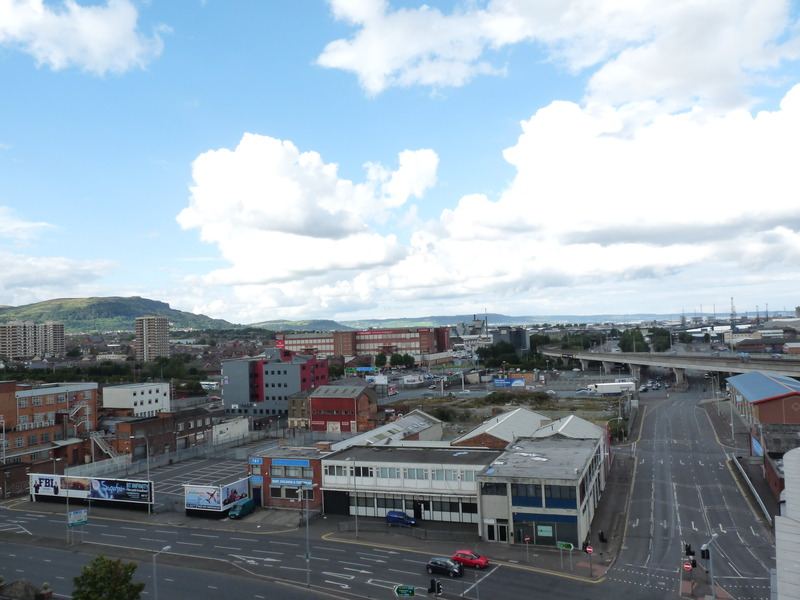 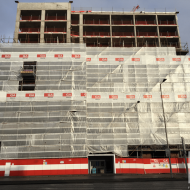 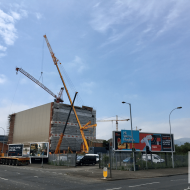 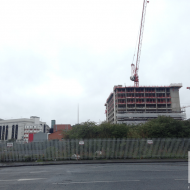 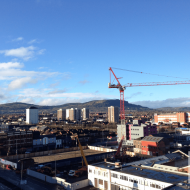 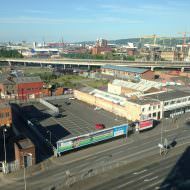 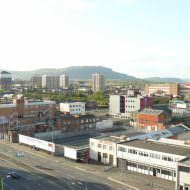 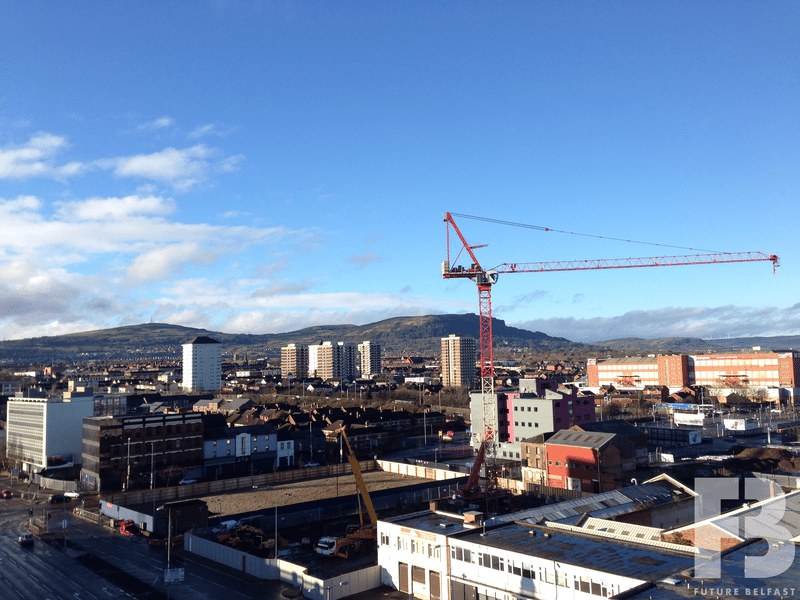 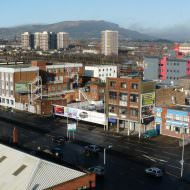 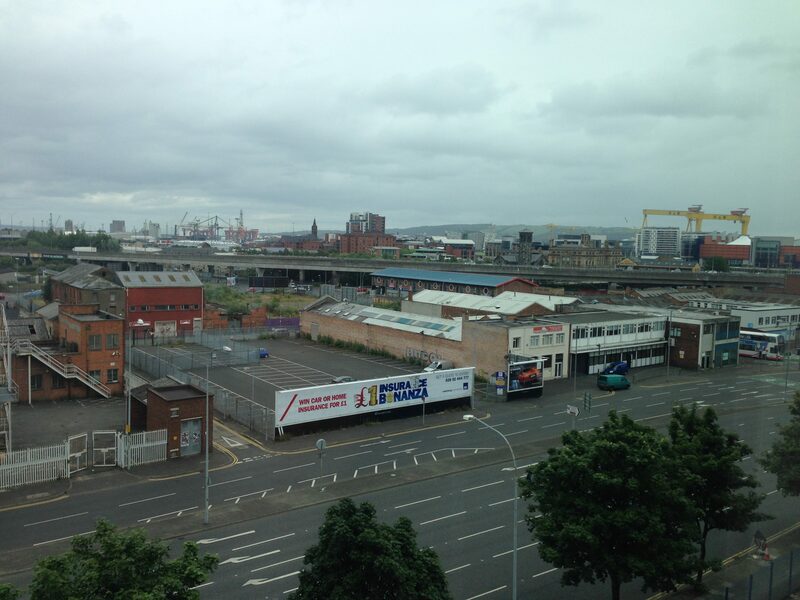 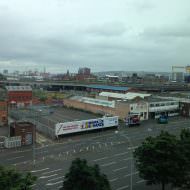 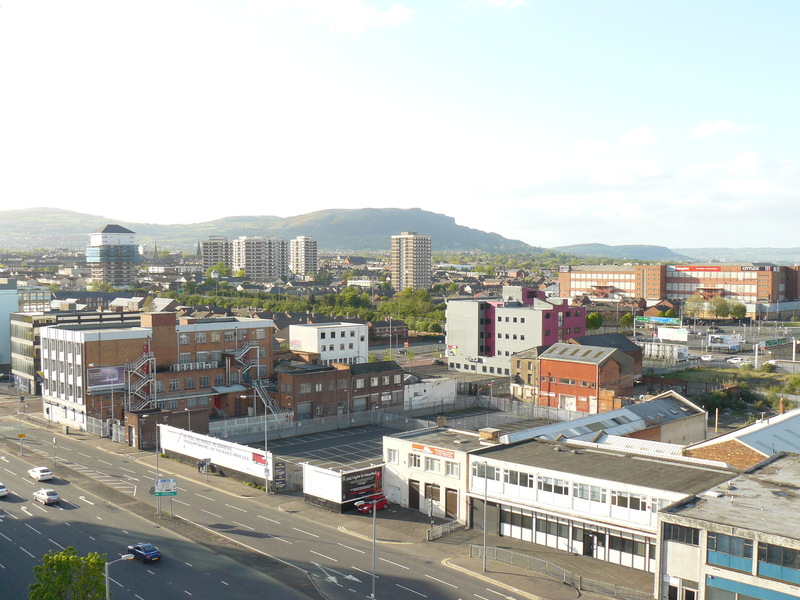 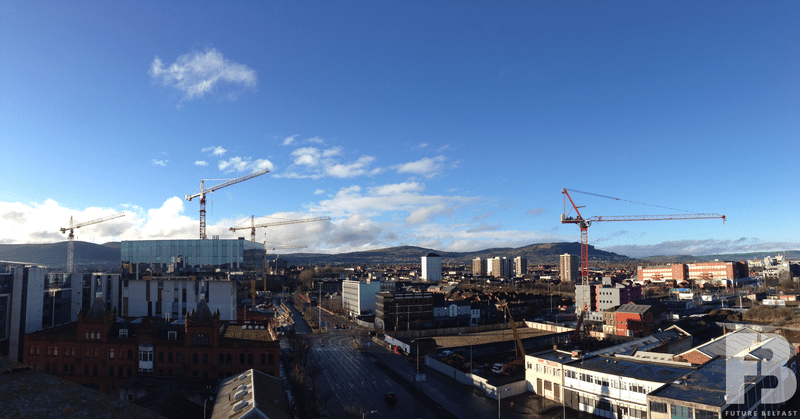 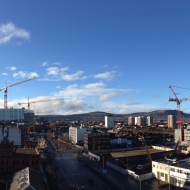 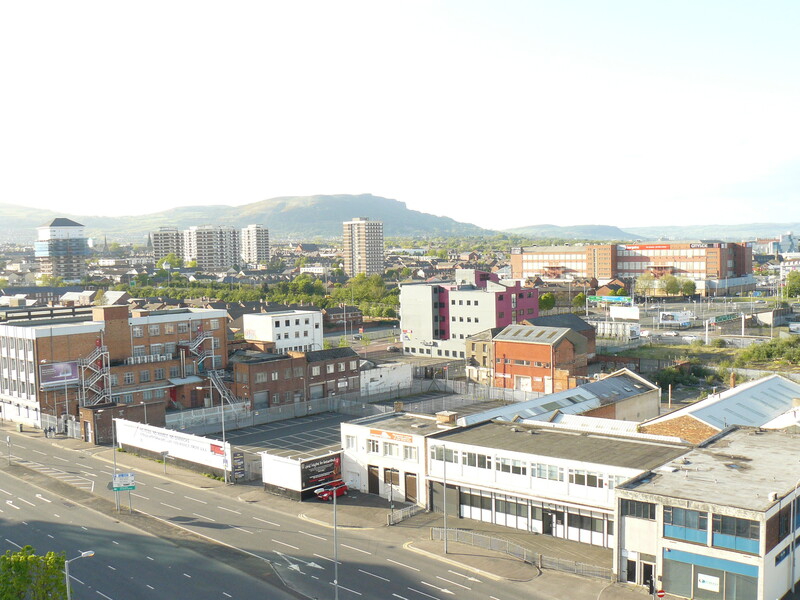 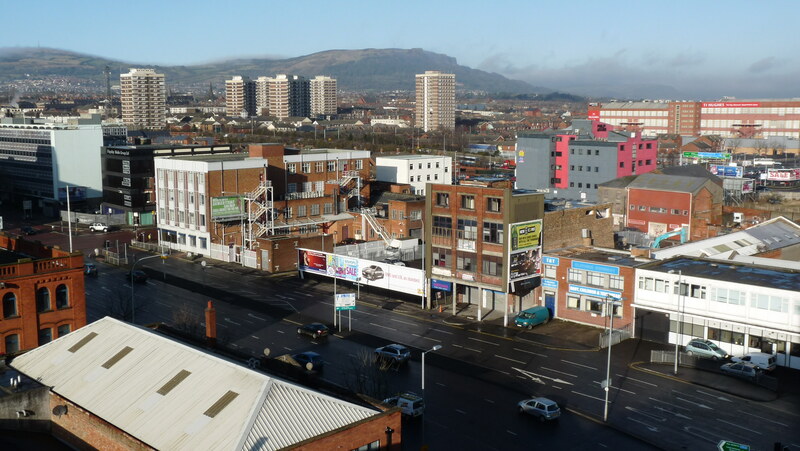 The application was amended to reduce the number of student rooms from 529 to 475 and subsequently approved by Belfast City Council in May 2016. 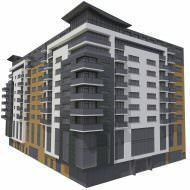 The site was formally acquired by Olympian Homes (Nevina Ltd) in November 2016. 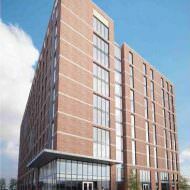 Olympian’s funding partner will own and operate the building when completed in September 2018. 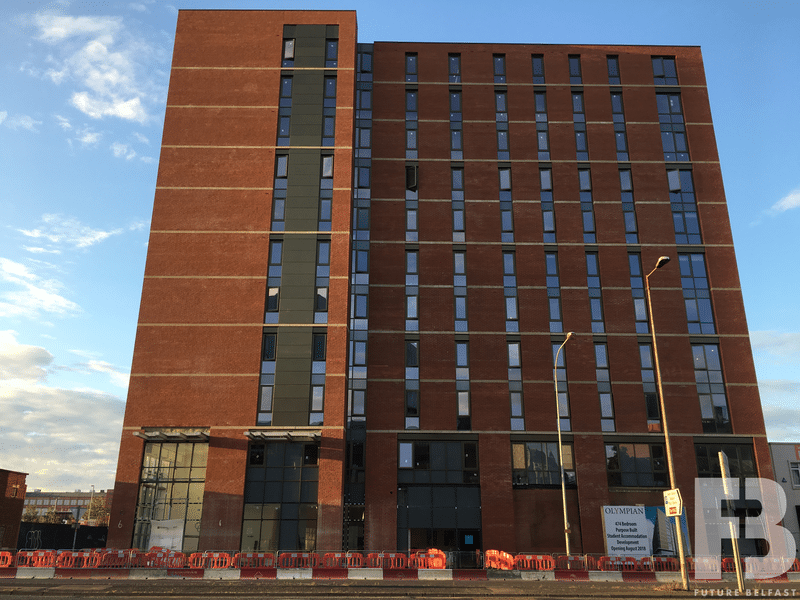 Student Roost have opened a marketing suite within the ground floor of the building. 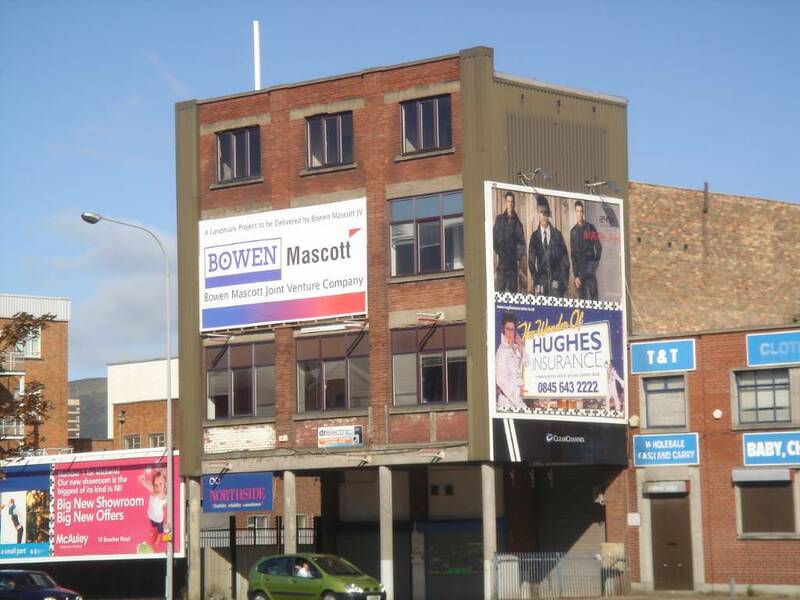 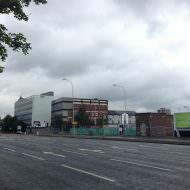 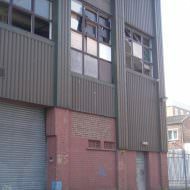 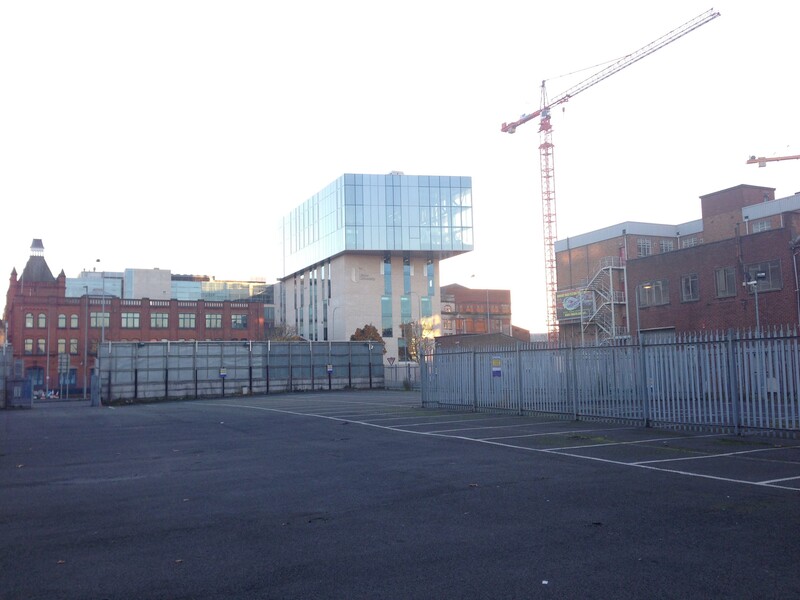 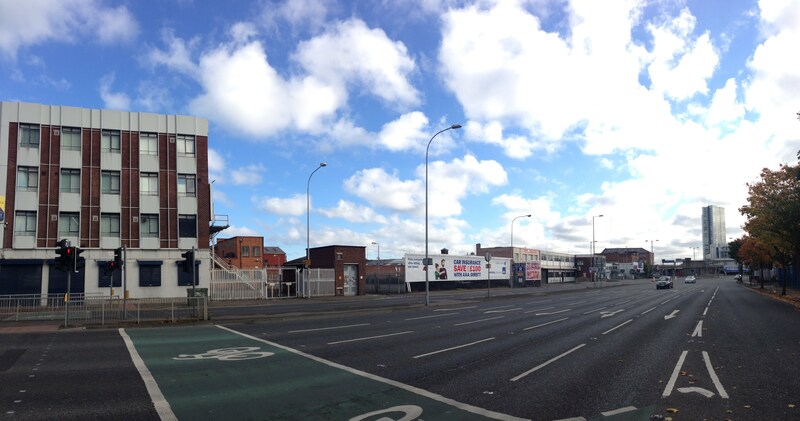 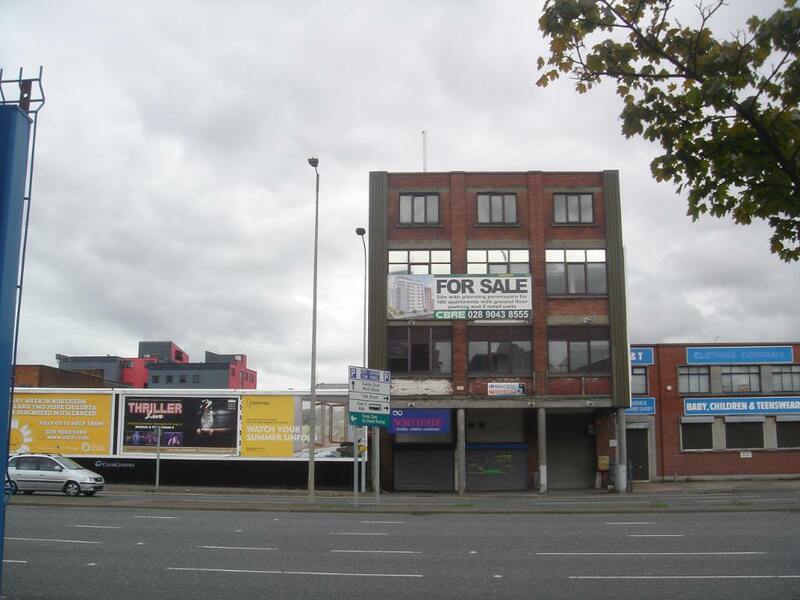 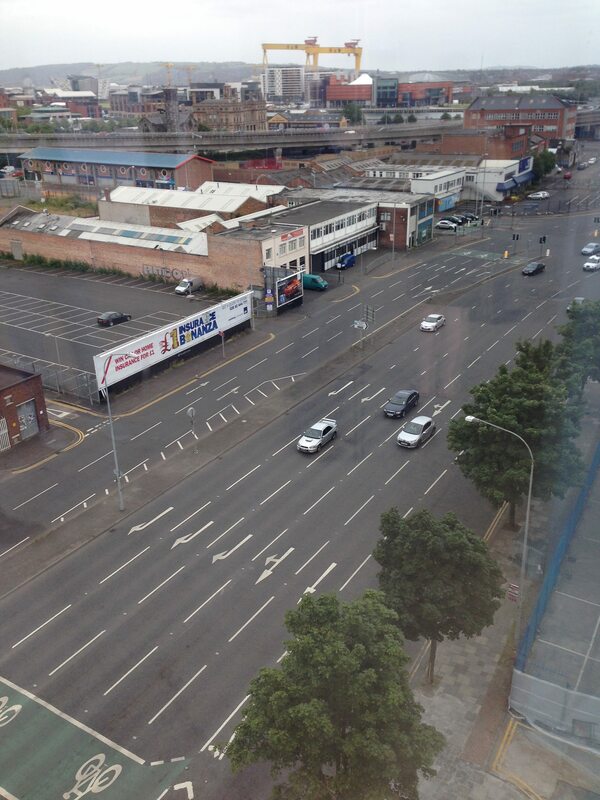 The ground floor retail unit (c.5,000ft2) is being marketed by CBRE.